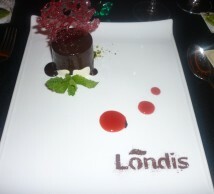 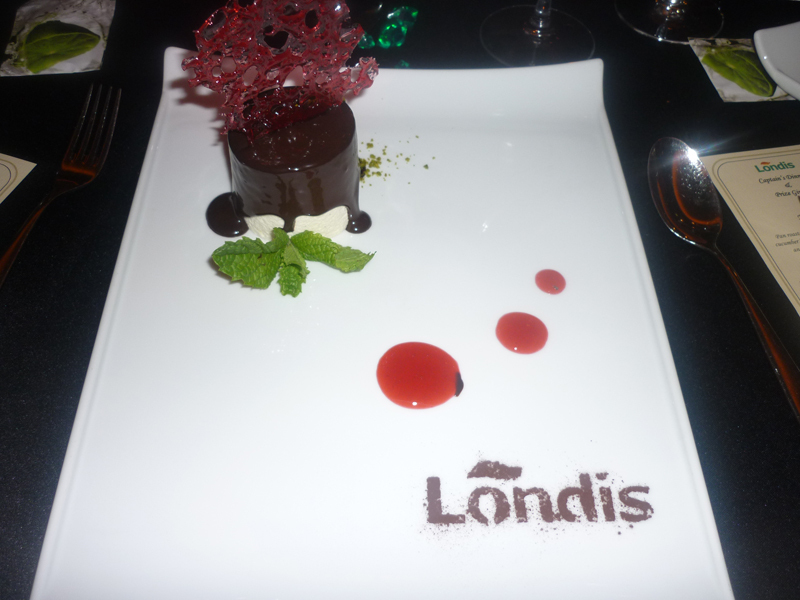 Tian of White Chocolate and Raspberry with a dark Chocolate Cognac Fondue. 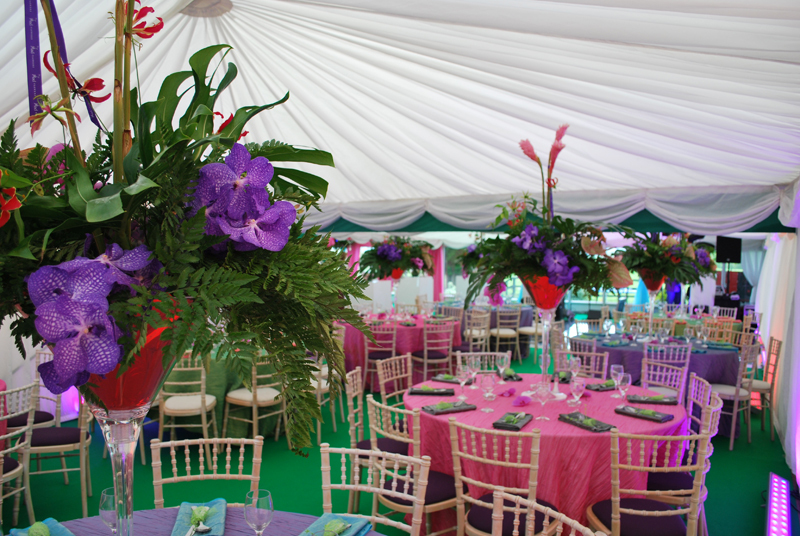 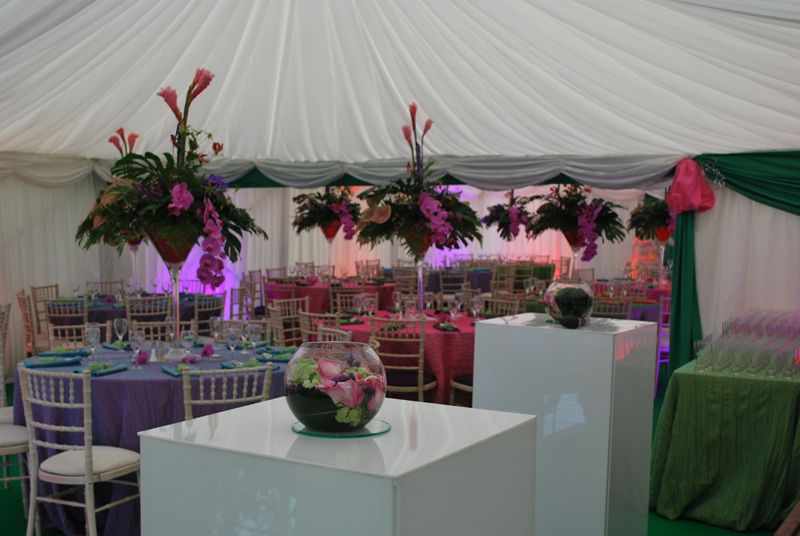 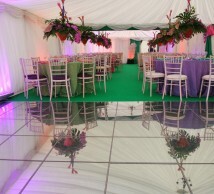 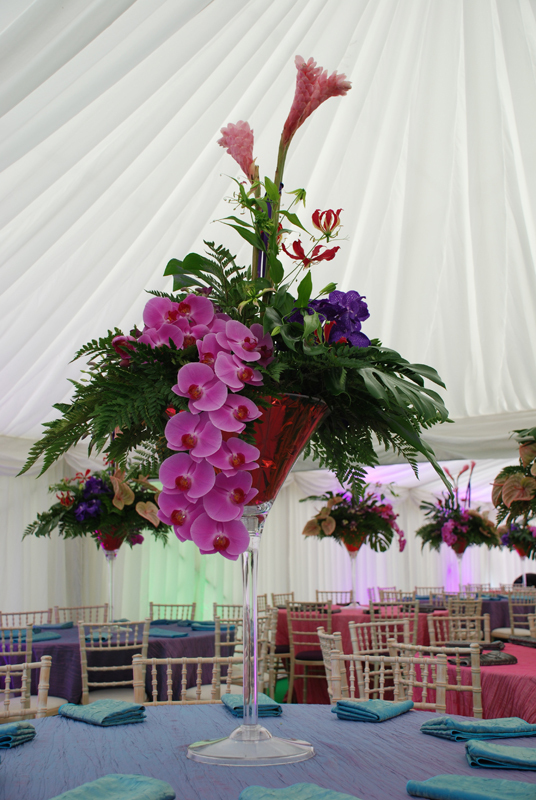 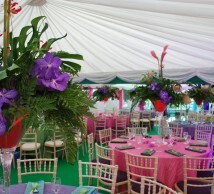 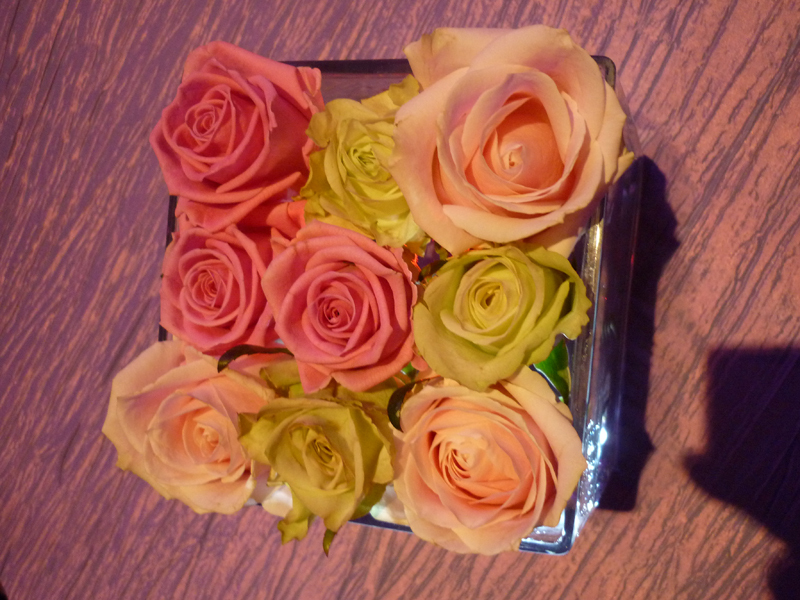 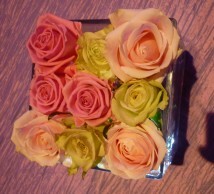 Lightbox columns with rose bowl centrepieces Within garden party marquee event. 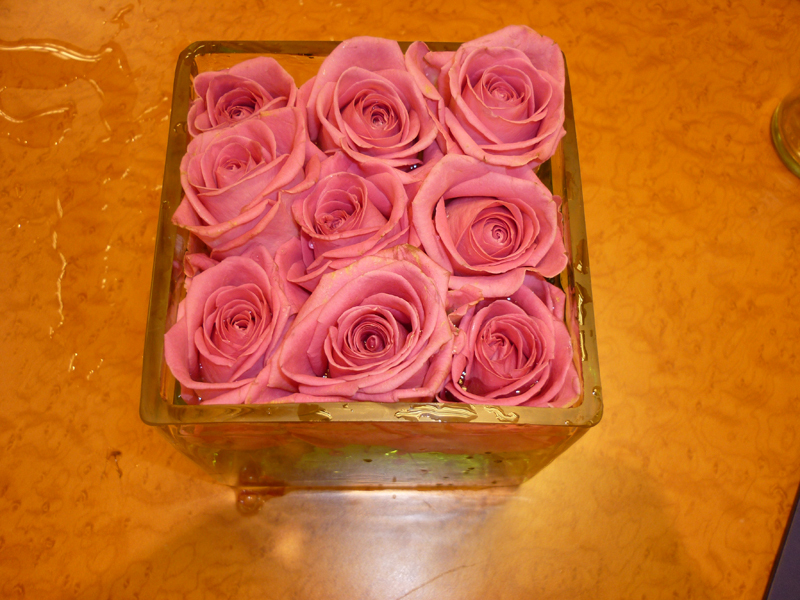 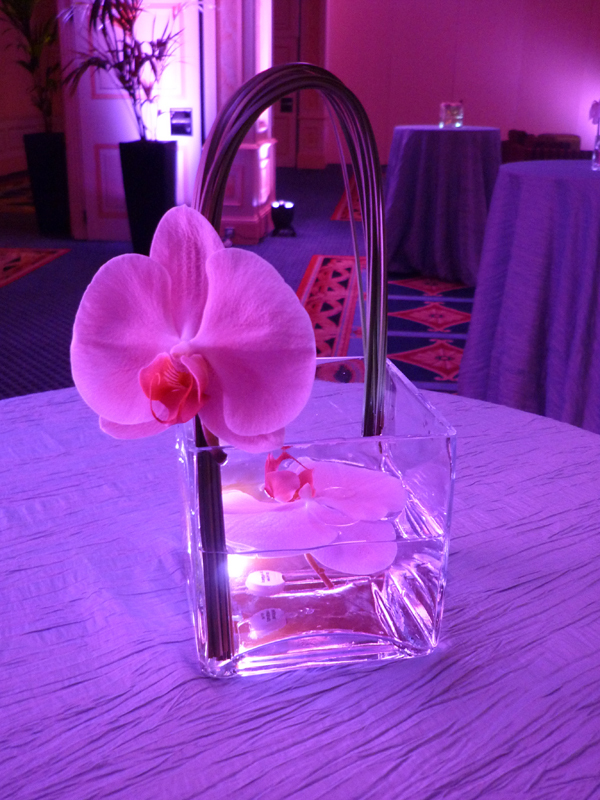 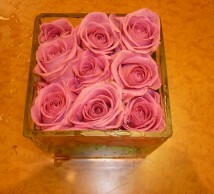 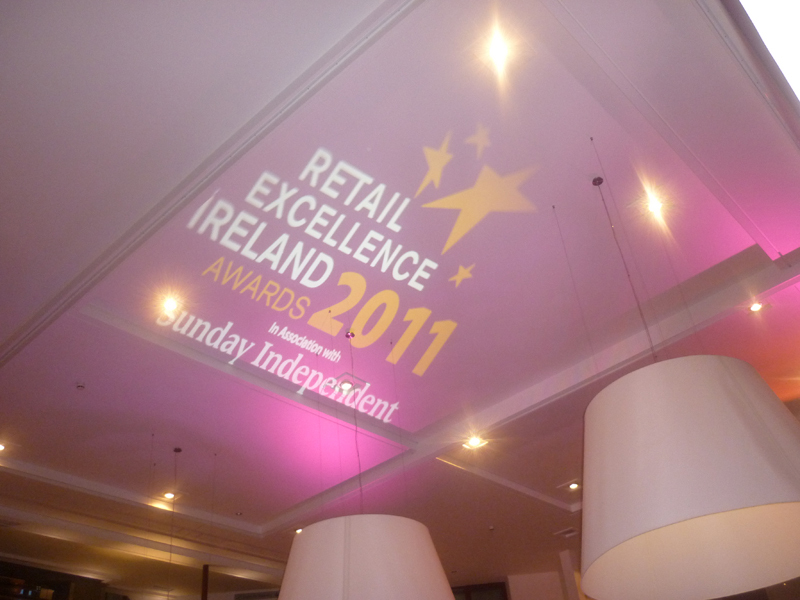 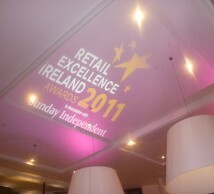 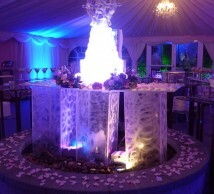 Displayed on top of outdoor fountain within the marquee, kept intact during set up of the marquee as a main feature. 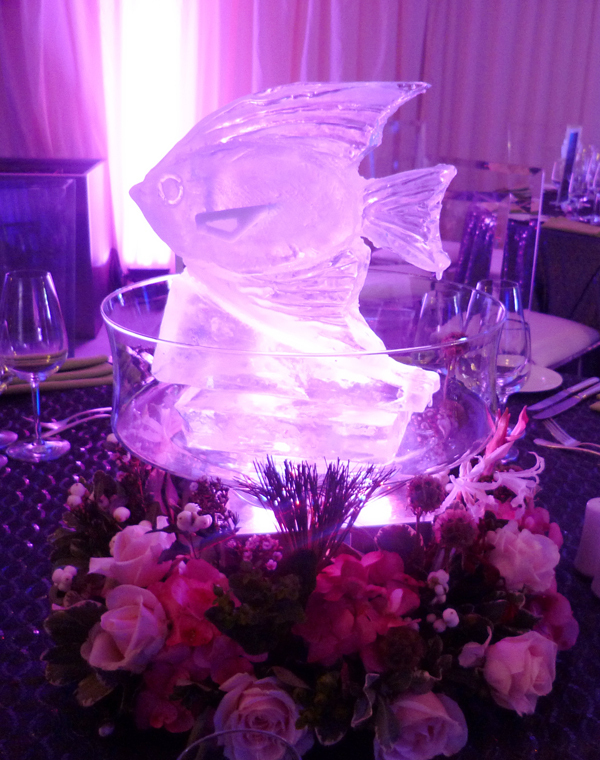 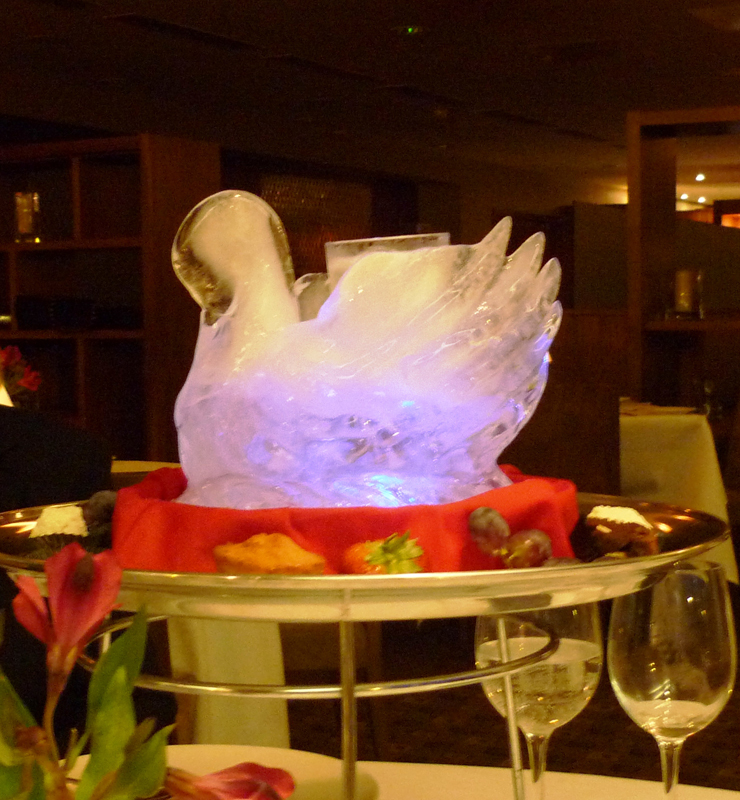 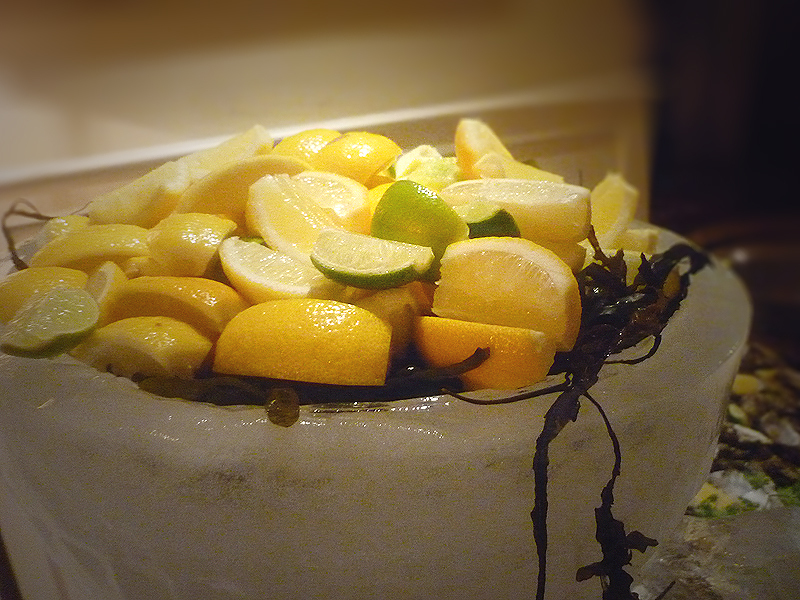 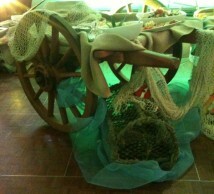 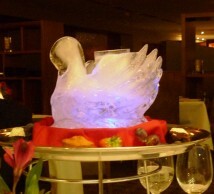 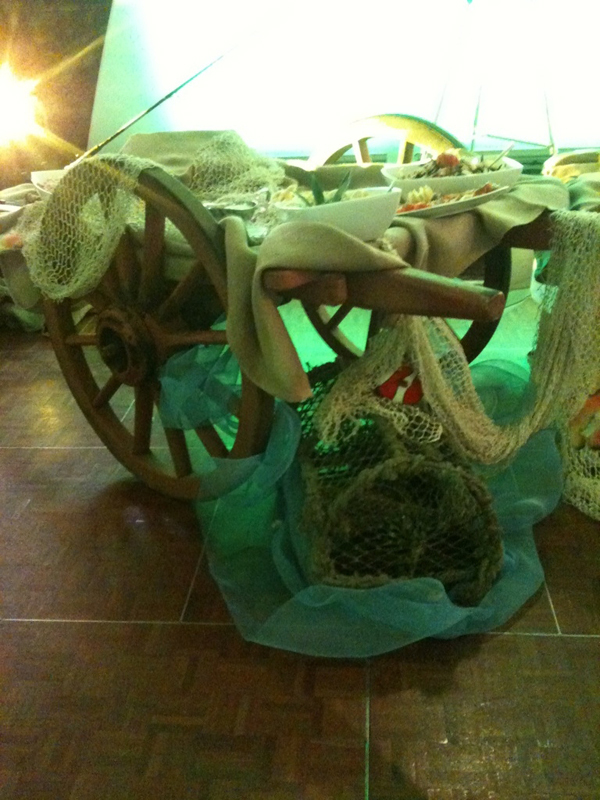 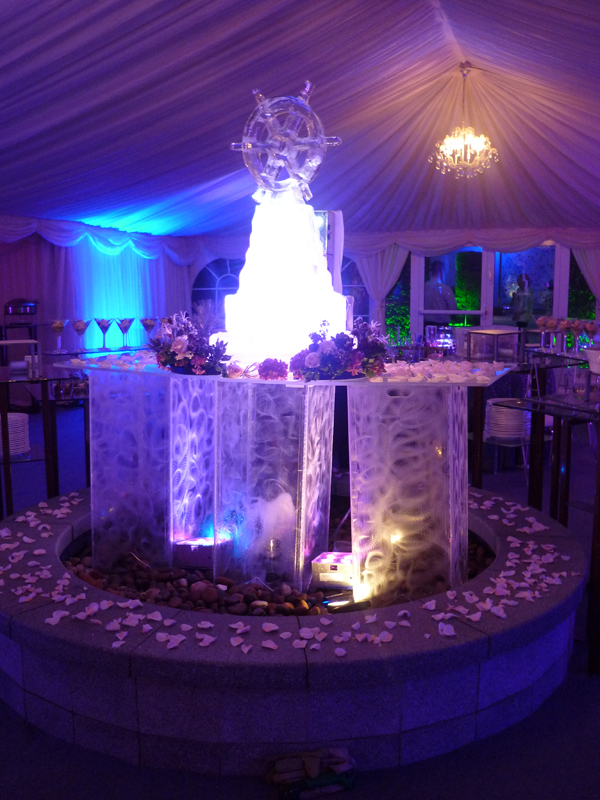 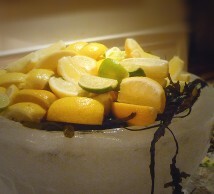 Featuring an elaborate ice carving of a ship’s wheel as the focal point within the dining area of the marquee. 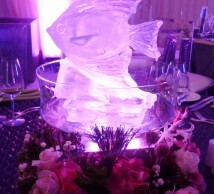 Featuring ice fish table centrepiece within a glass bowl and uplight from underneat with floral wreath centrepiece base. 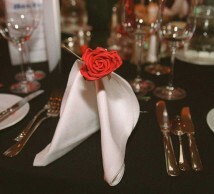 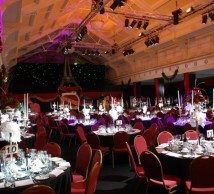 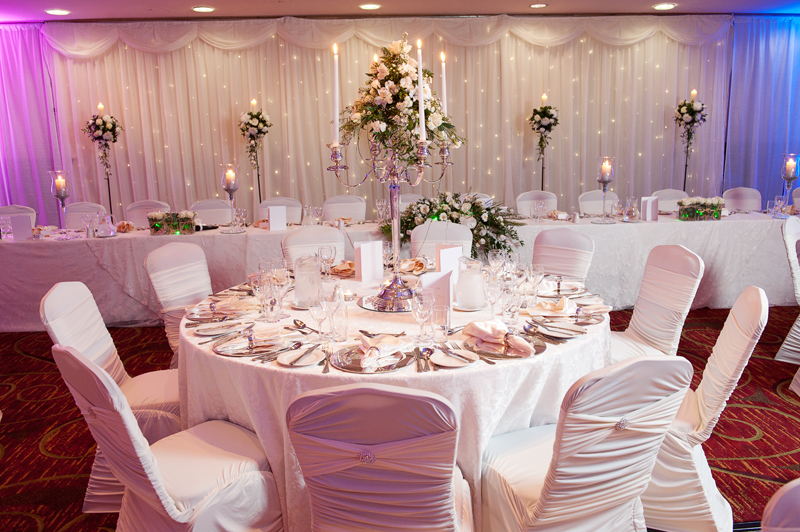 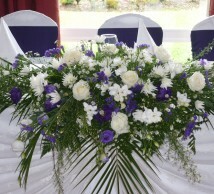 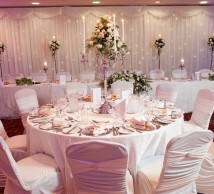 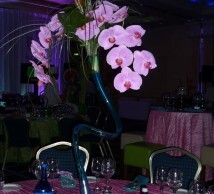 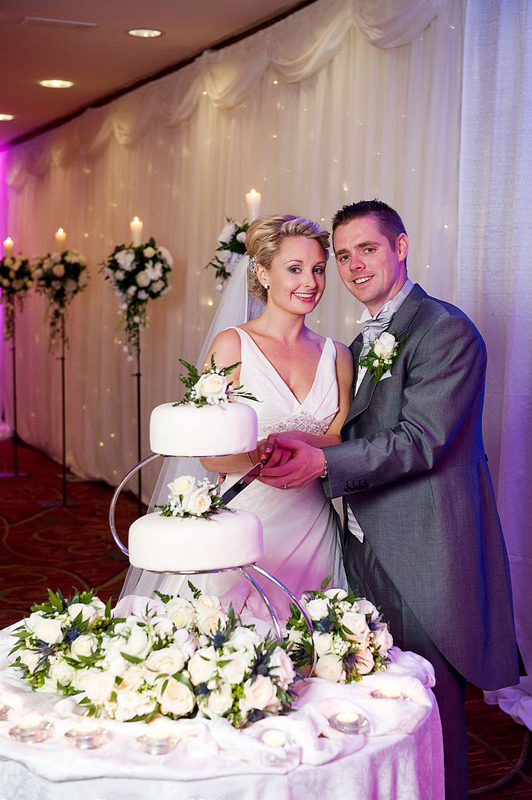 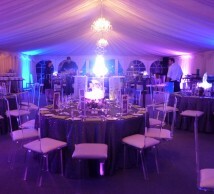 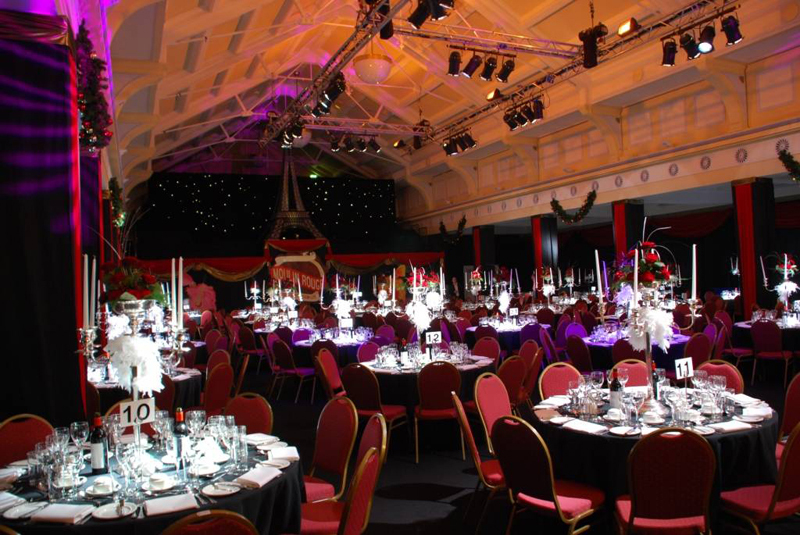 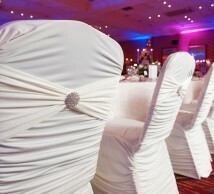 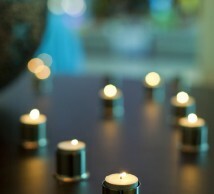 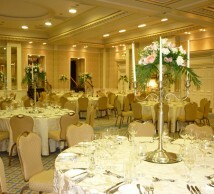 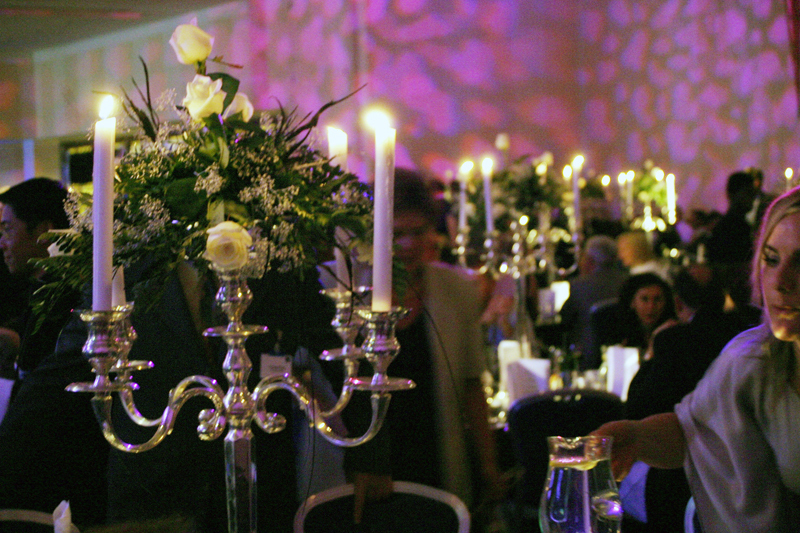 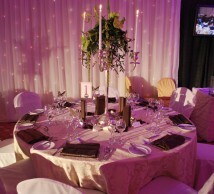 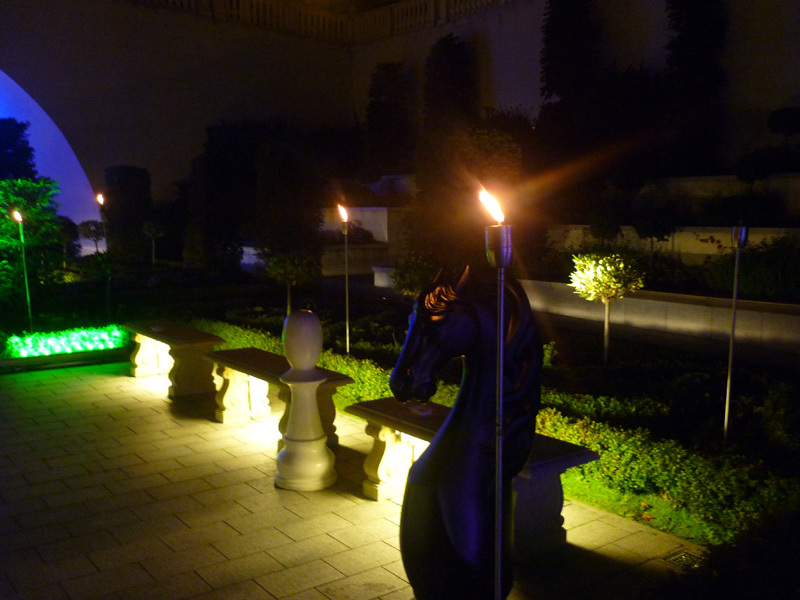 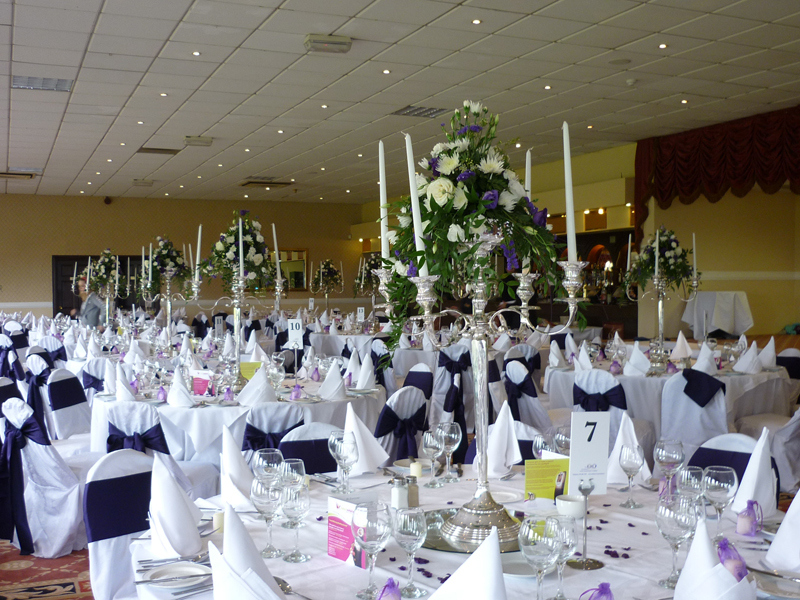 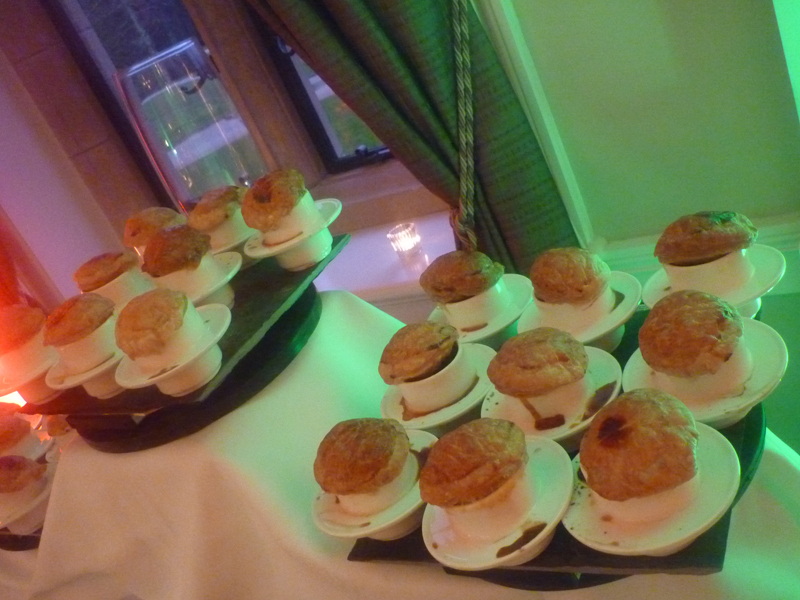 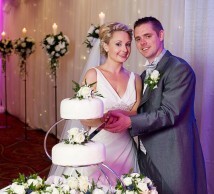 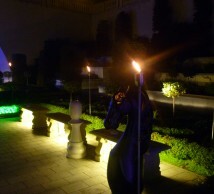 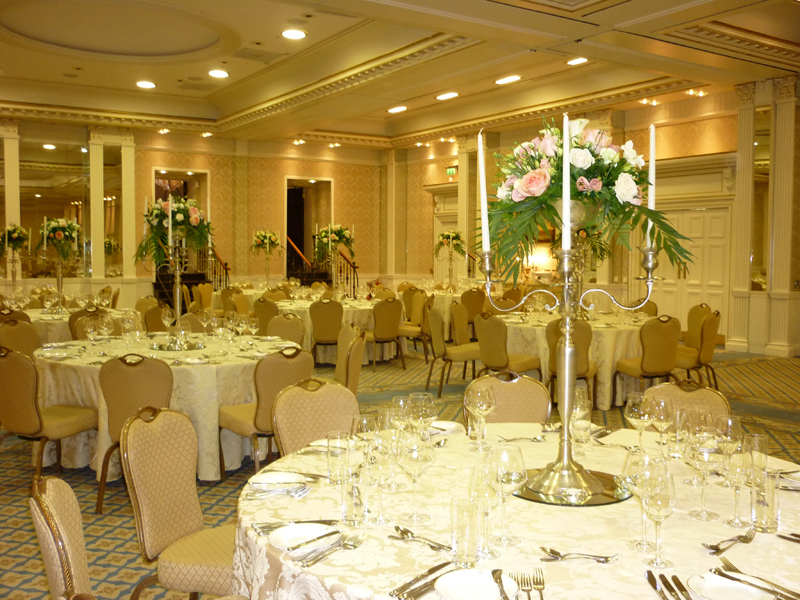 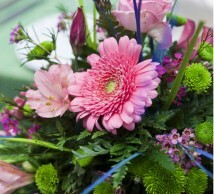 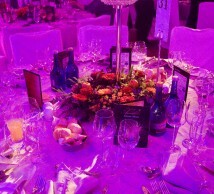 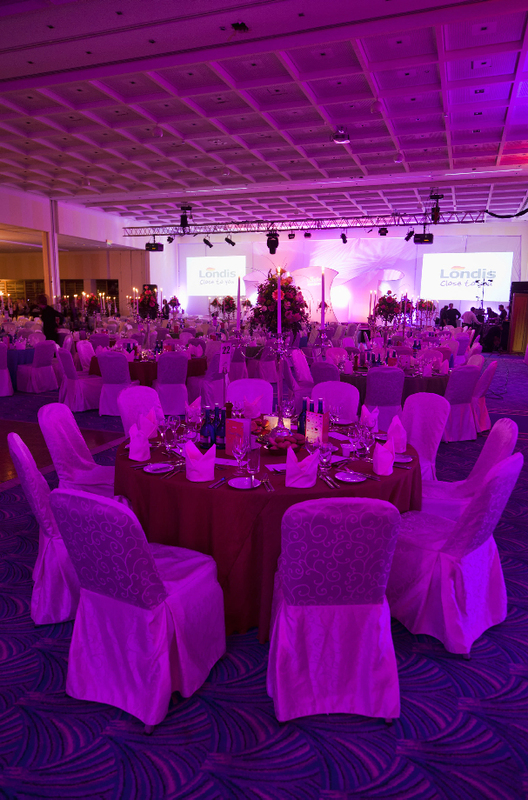 Including stunning linen, candelabra centrepieces complete with floral design, lighting programme. 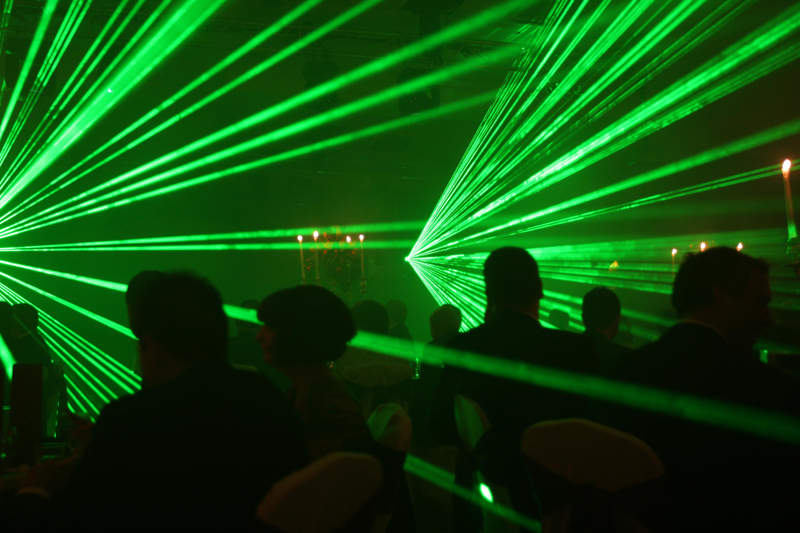 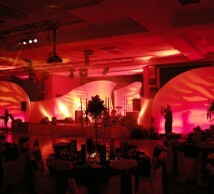 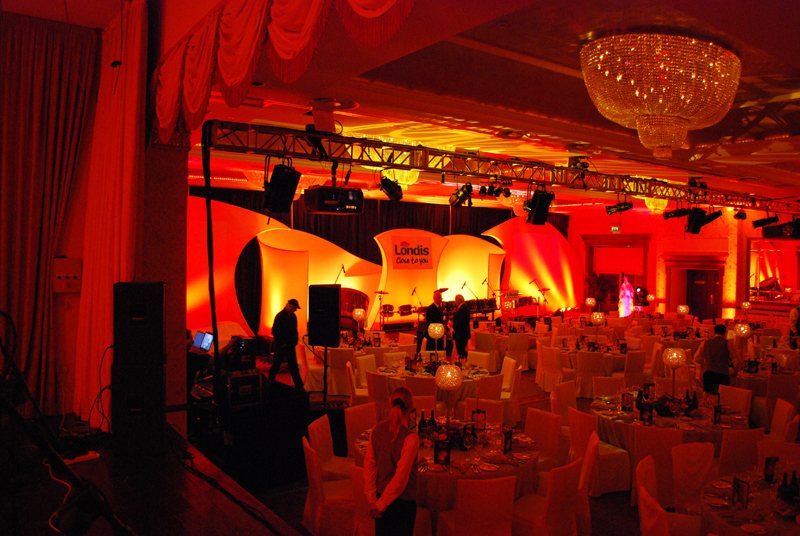 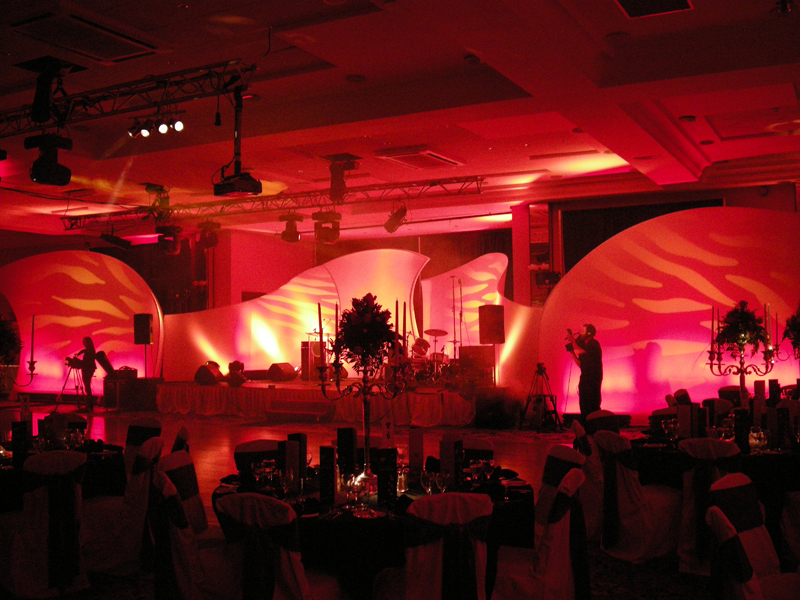 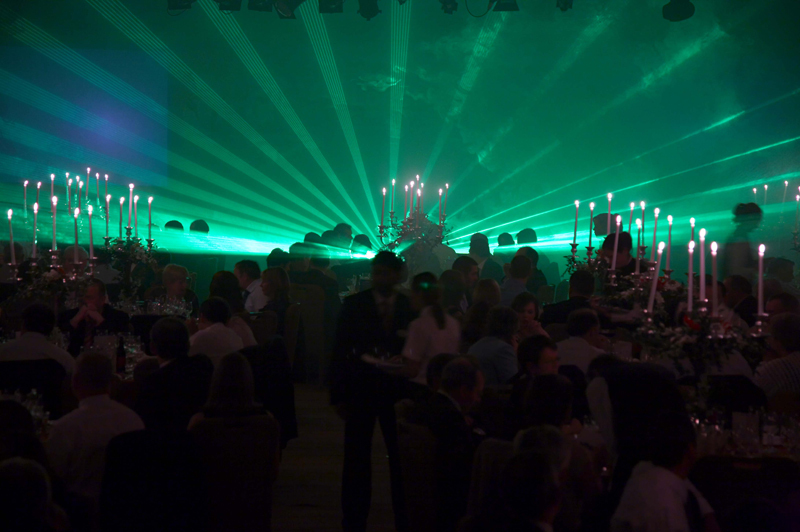 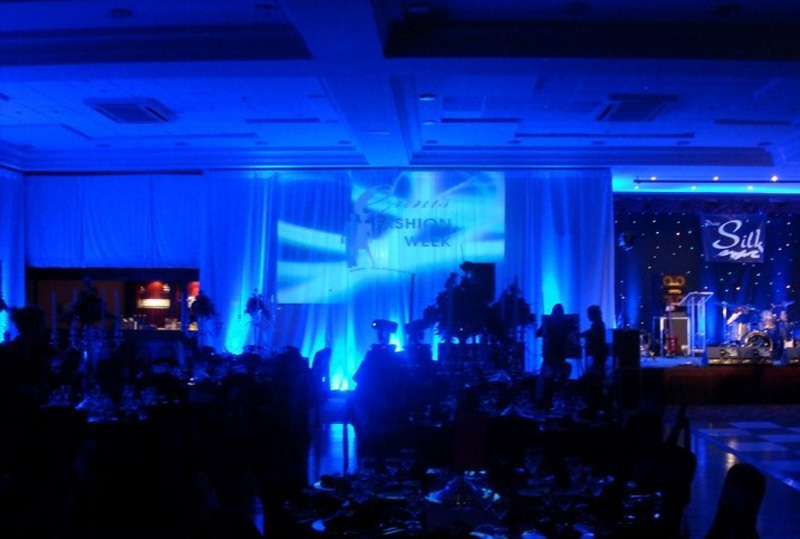 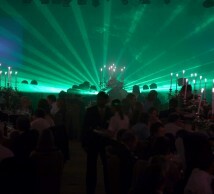 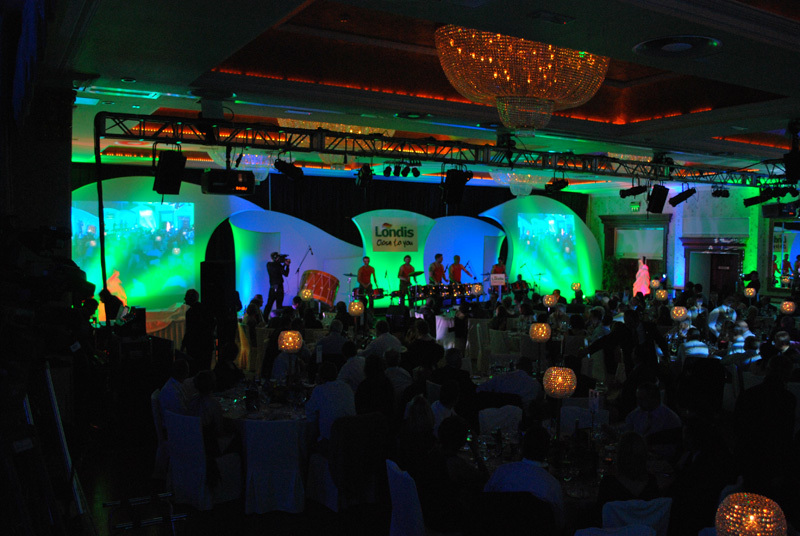 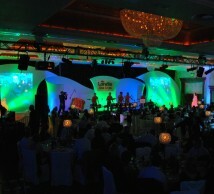 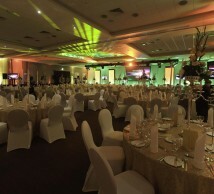 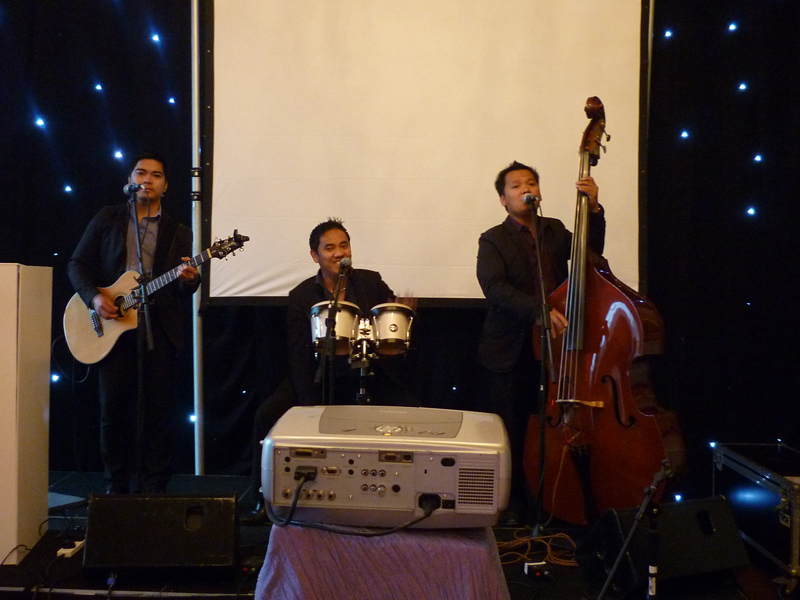 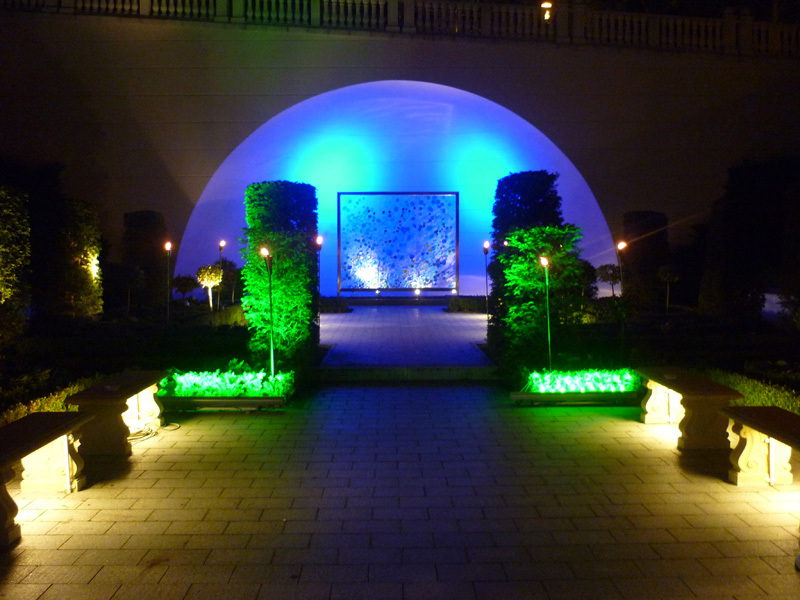 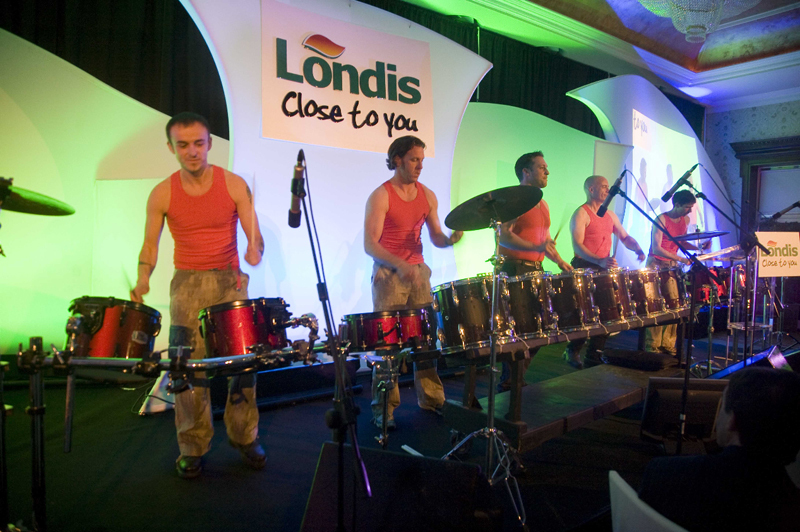 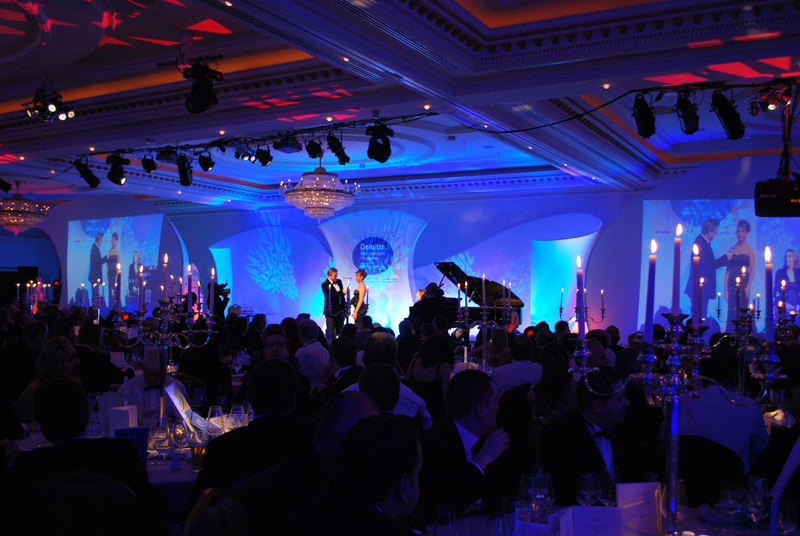 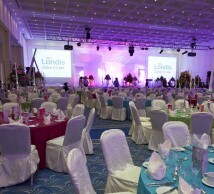 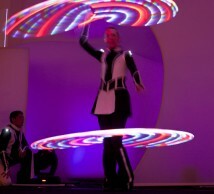 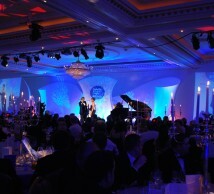 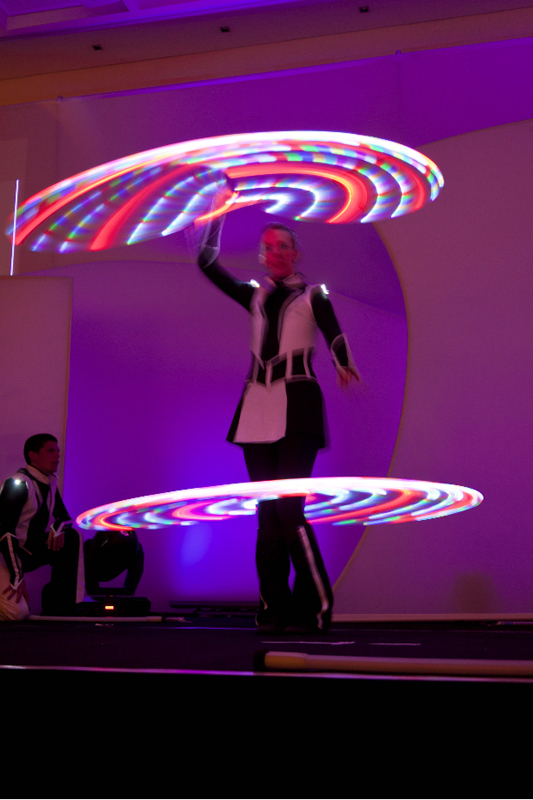 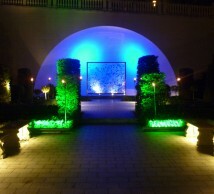 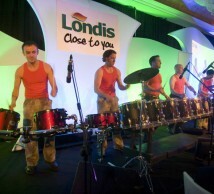 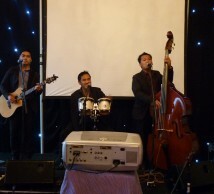 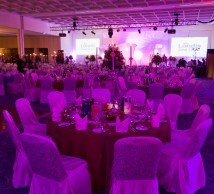 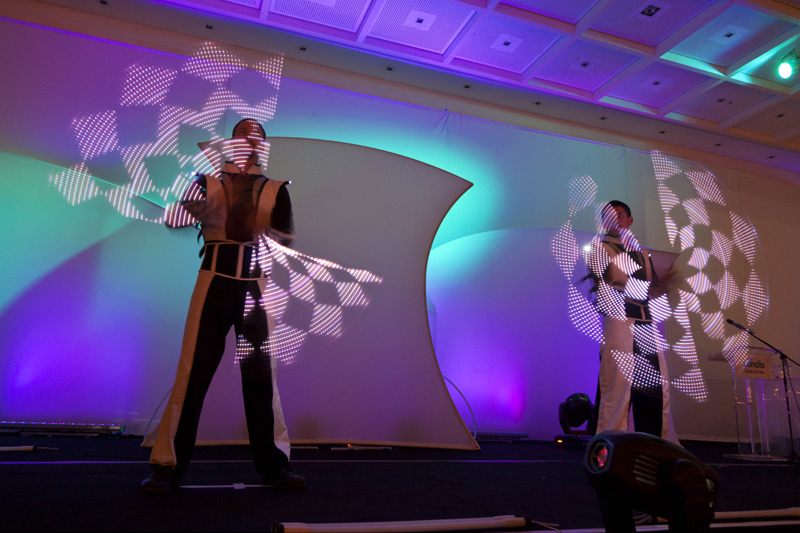 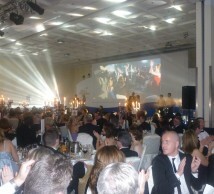 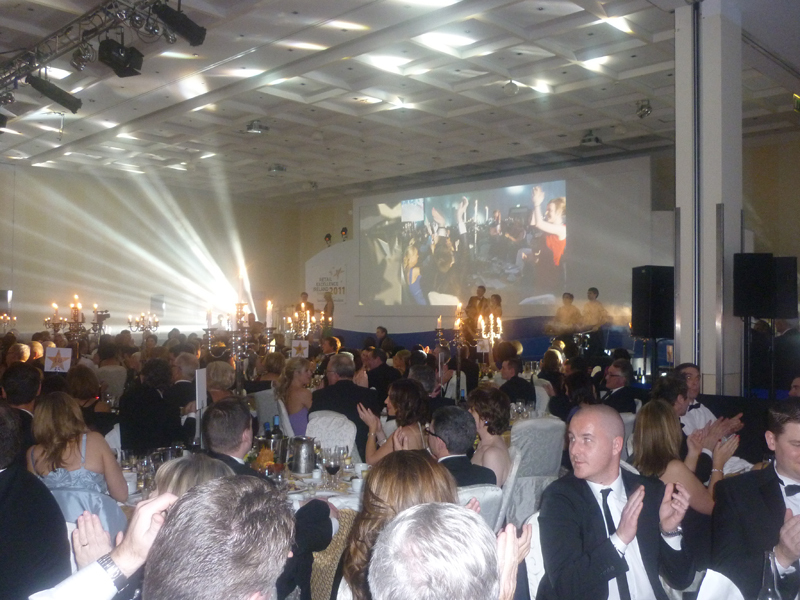 Turned around for gala evening event using evening lighting programme and set up for live band entertainment. 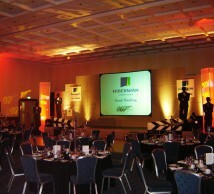 With top table, lectern, black pipe and drape. 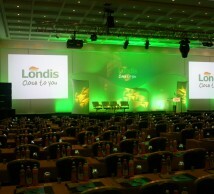 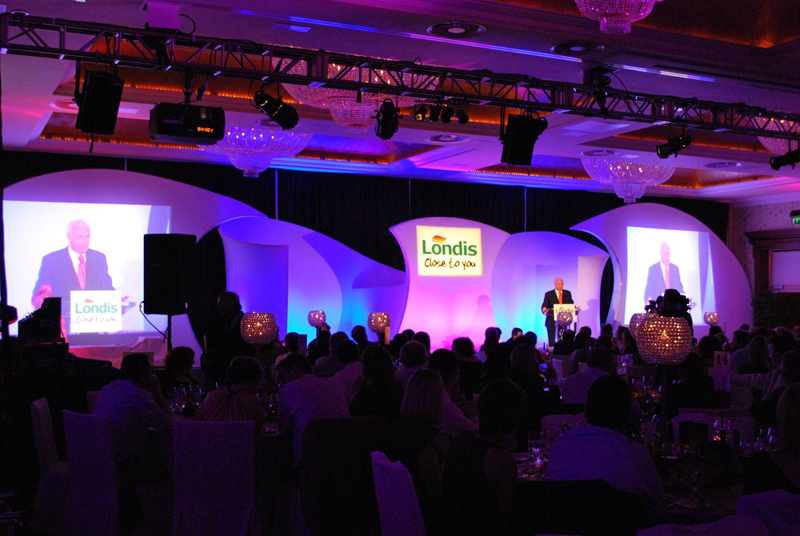 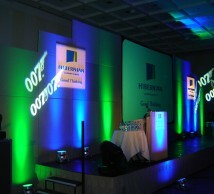 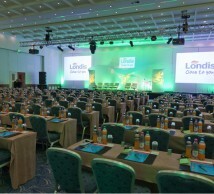 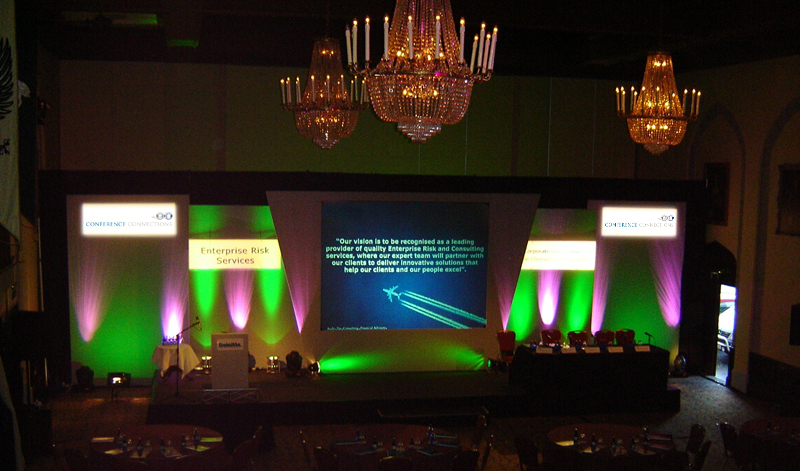 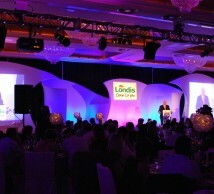 With top table and lectern, lighting programme. 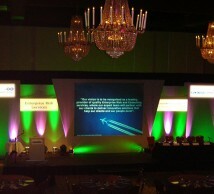 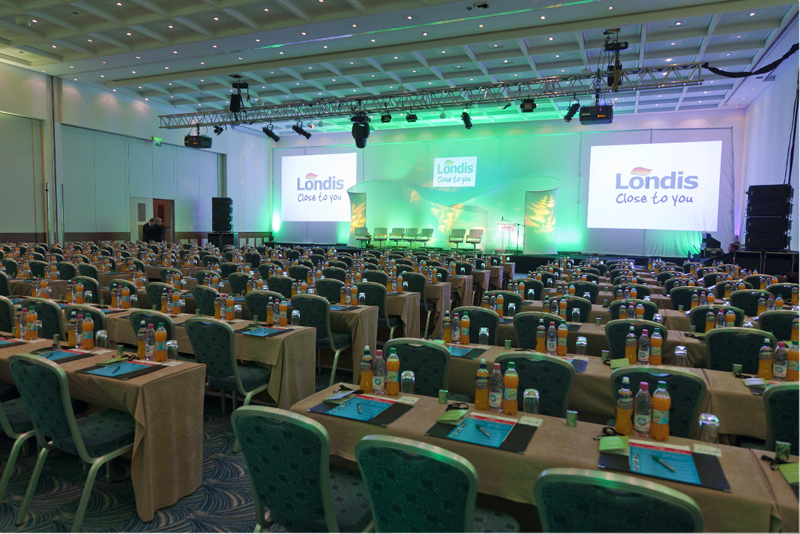 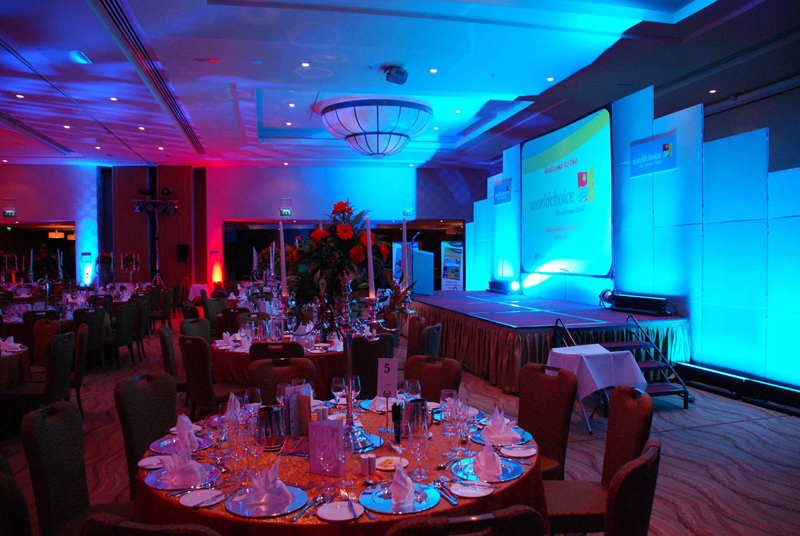 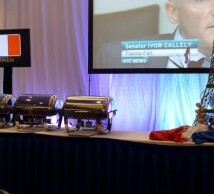 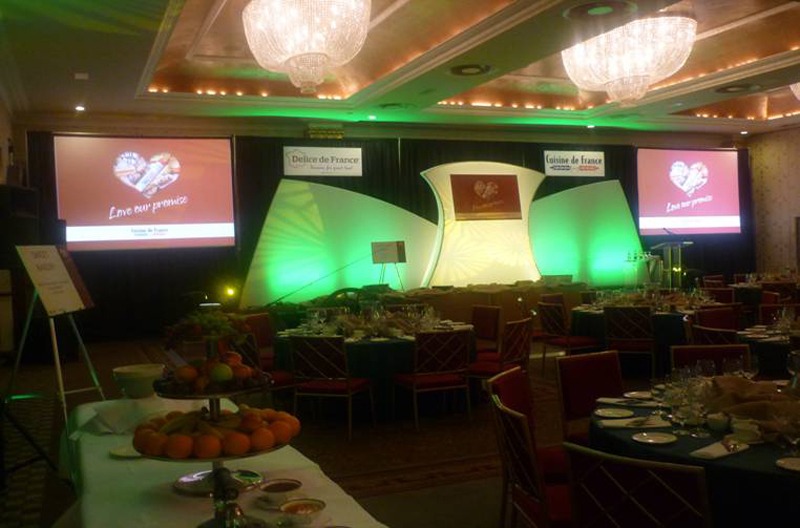 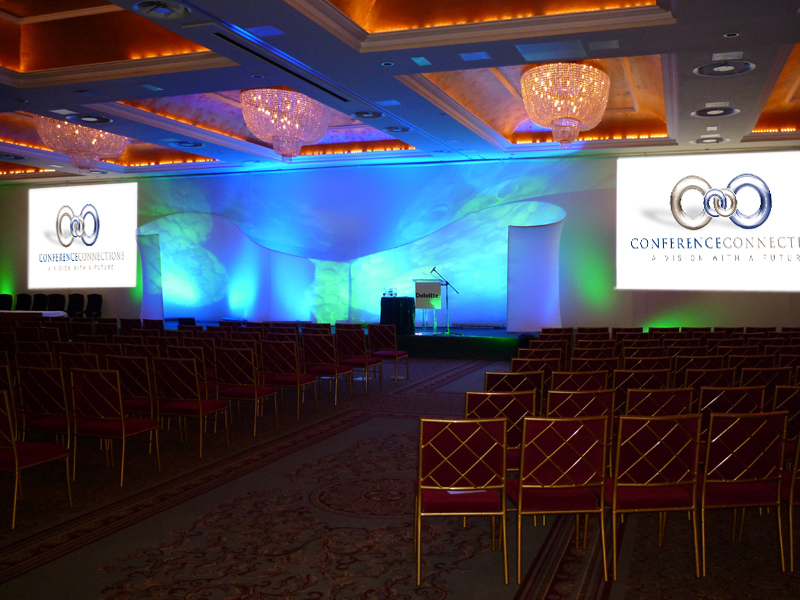 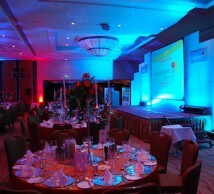 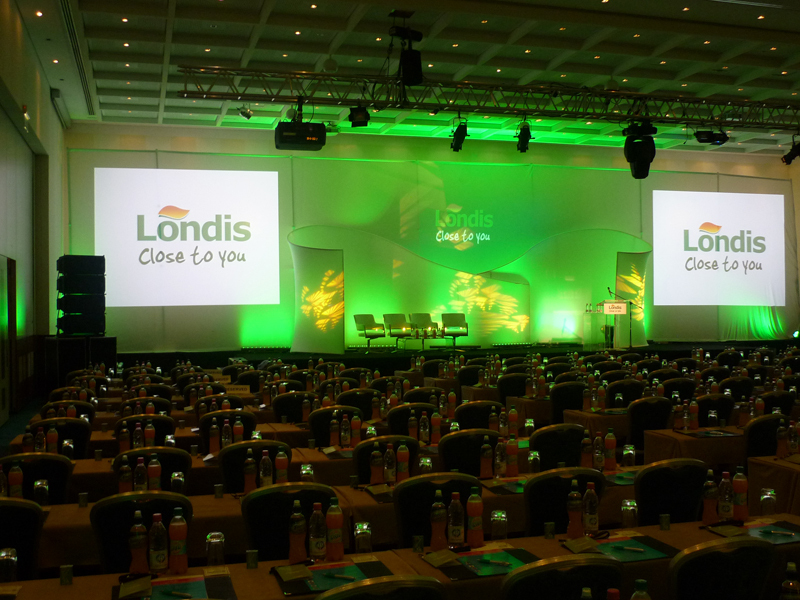 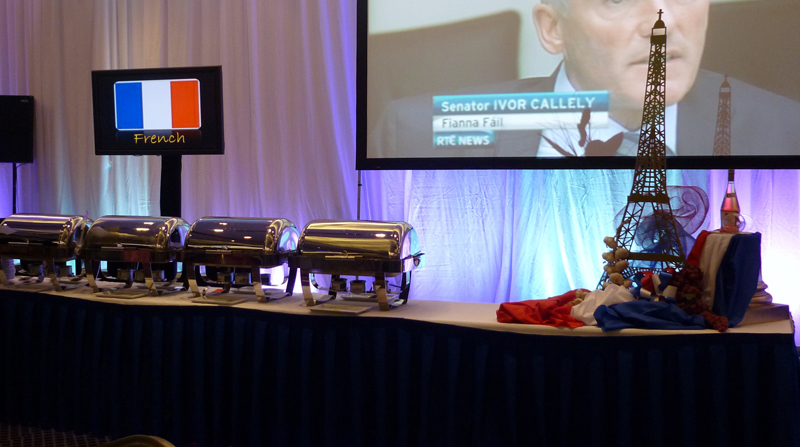 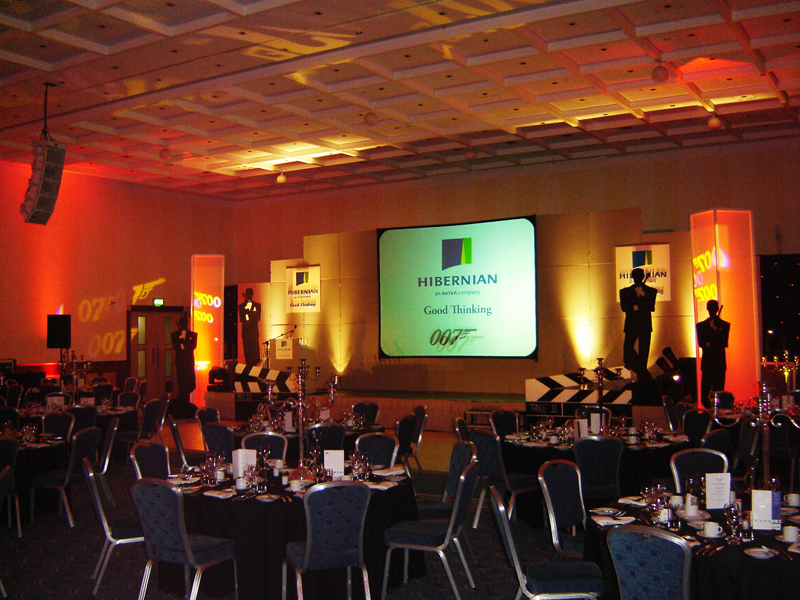 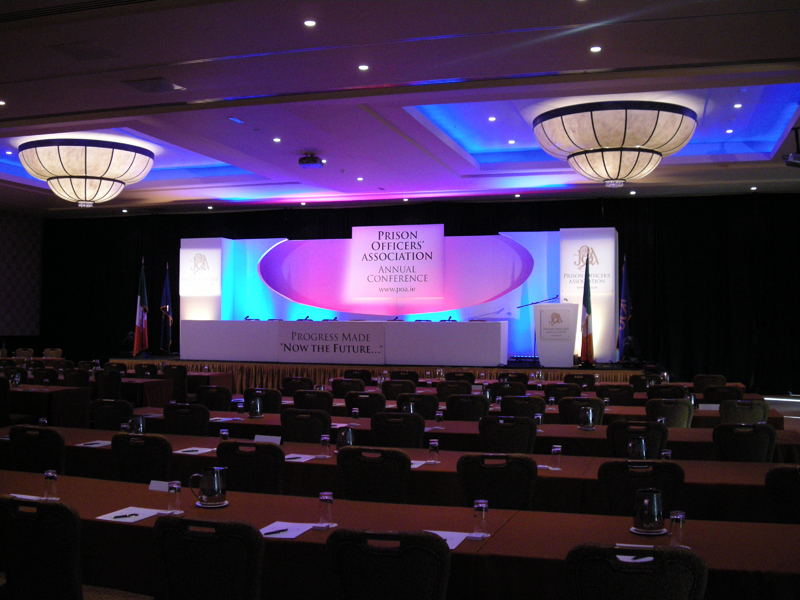 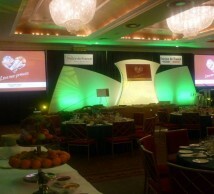 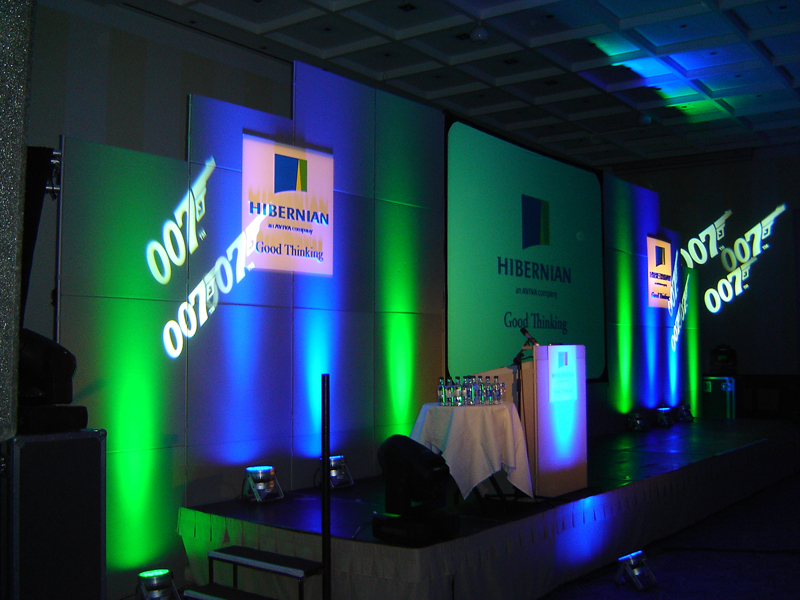 Sea Breeze Stage Set with Curves, top table and autoque monitor. 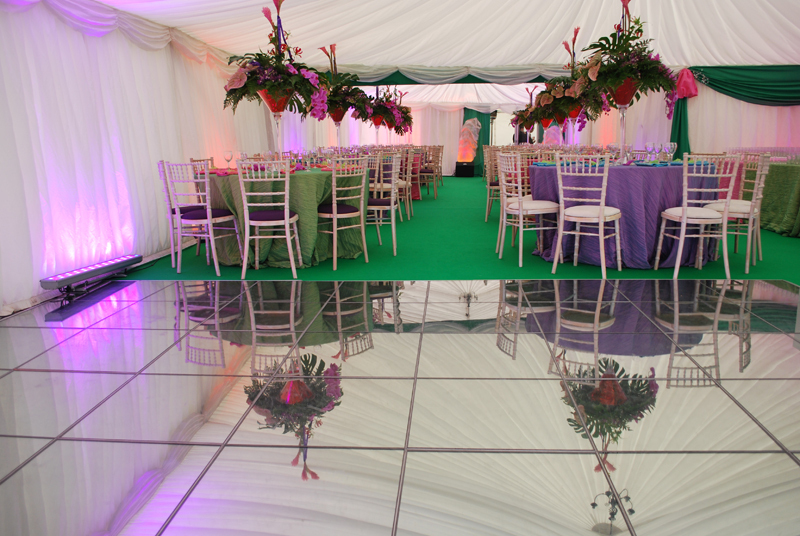 With Glass podium, Glass table and chairs for panel. 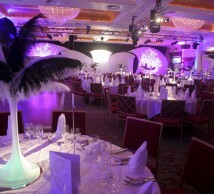 Featuring Eiffel Tower stage backdrop with star cloth, can can dancers, feather boas draped around candelabra centrepieces. 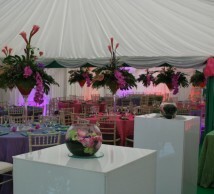 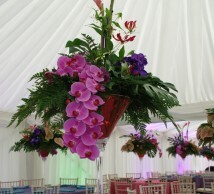 Set in a giant cocktail glass forms a wonderful table centrepiece for a marquee garden party. 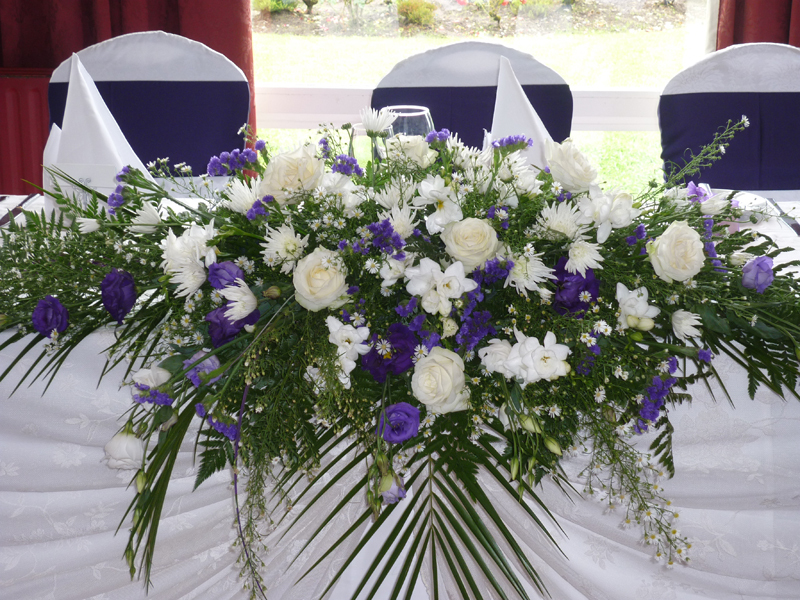 Floral arrangement adorns foot of cake stand, beautiful white star cloth backdrop and tall candle stands with floral arrangement in the background making this pretty as a picture! 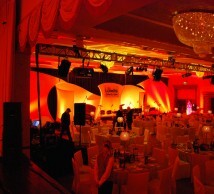 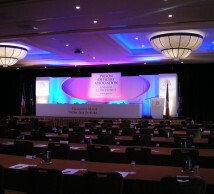 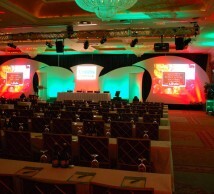 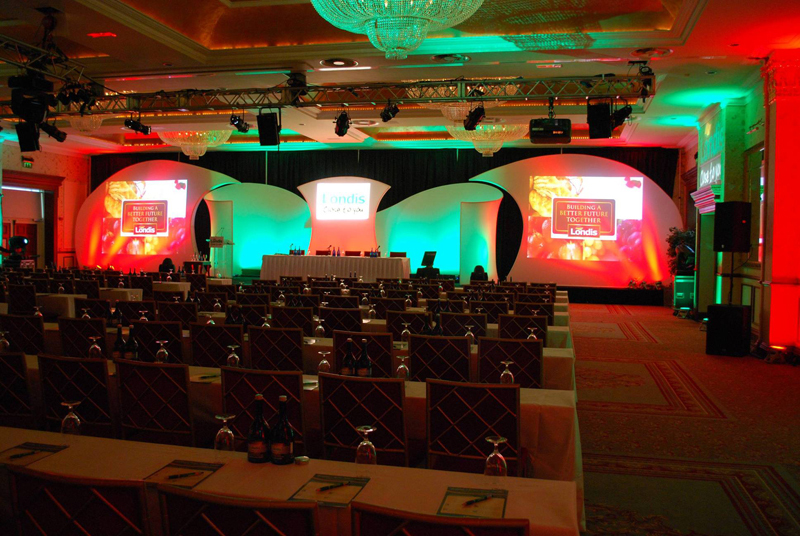 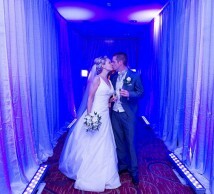 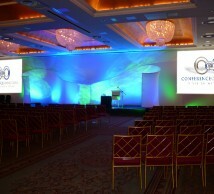 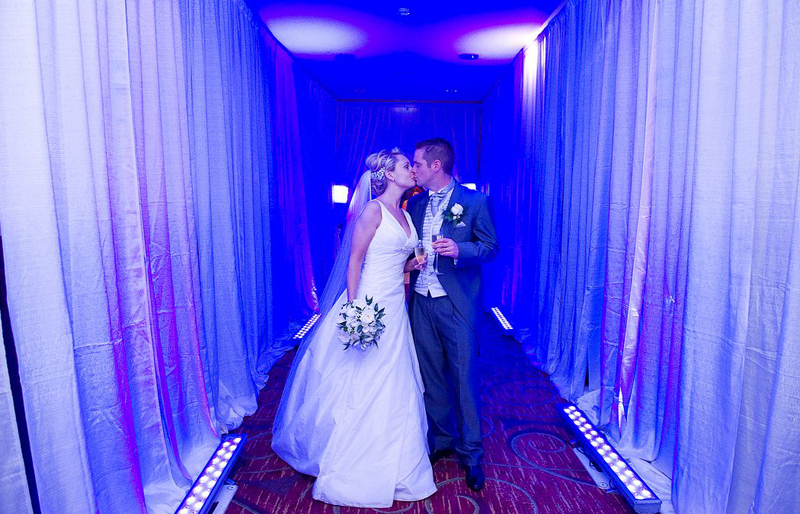 Pipe and drape tunnel entrance into the ballroom, uplight with pixel par can lighting system. 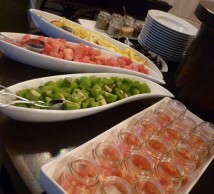 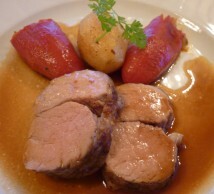 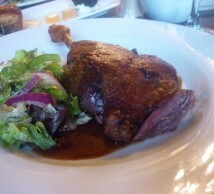 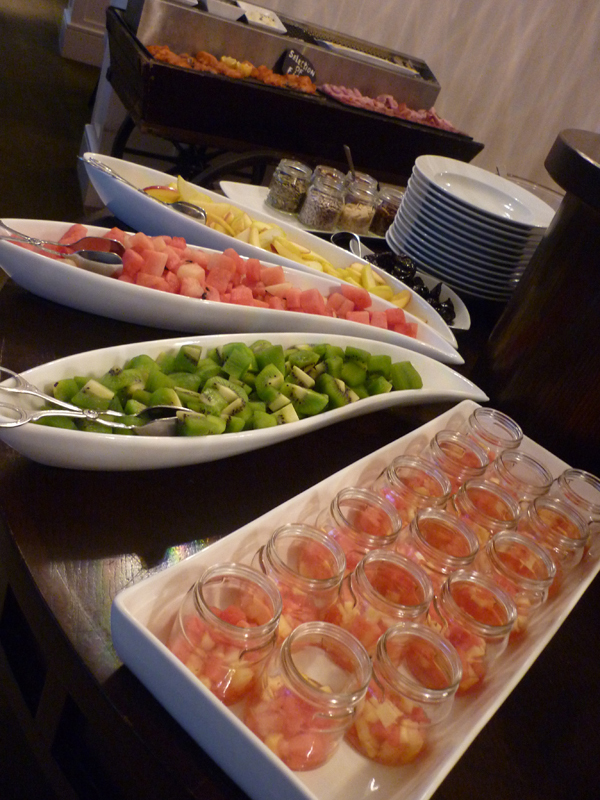 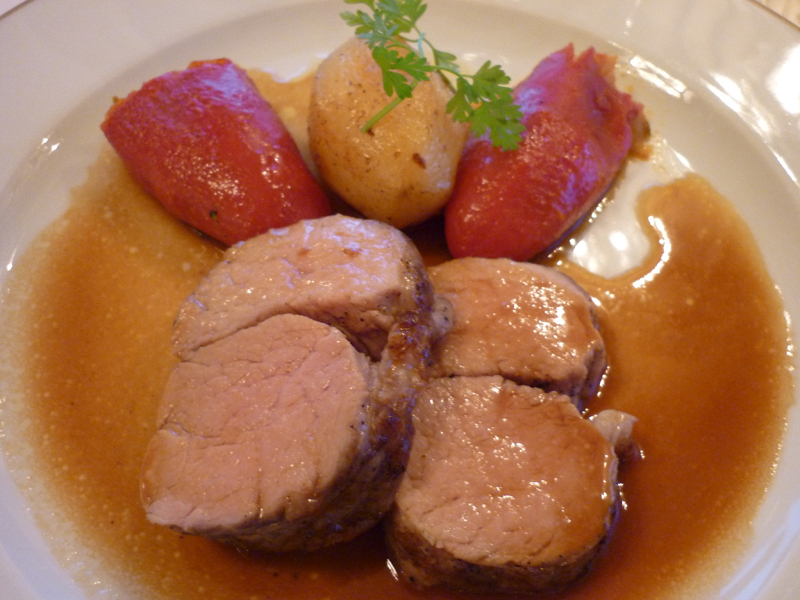 Fresh Fruit Selection, Fish, Cold Meats. 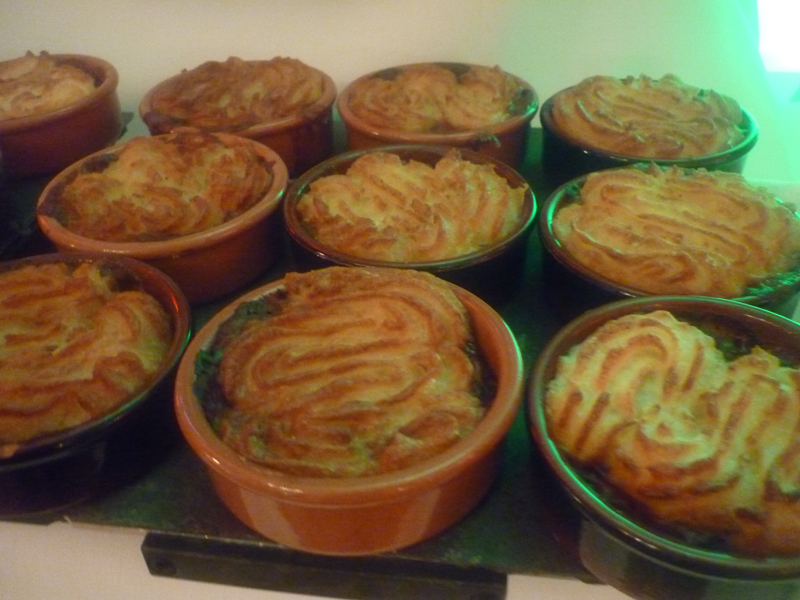 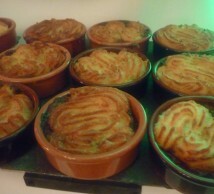 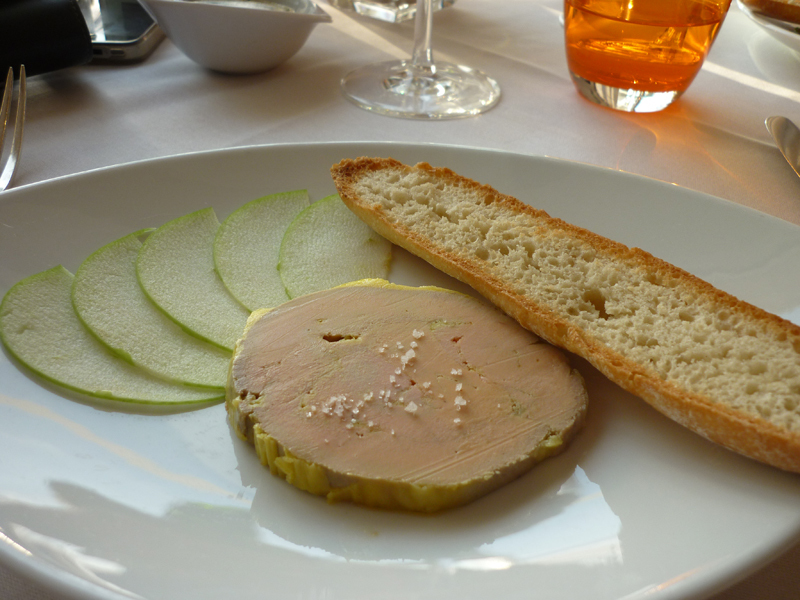 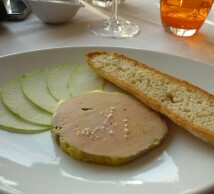 French Pâté served with warm crusty baguette and thinly sliced melon. 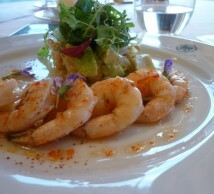 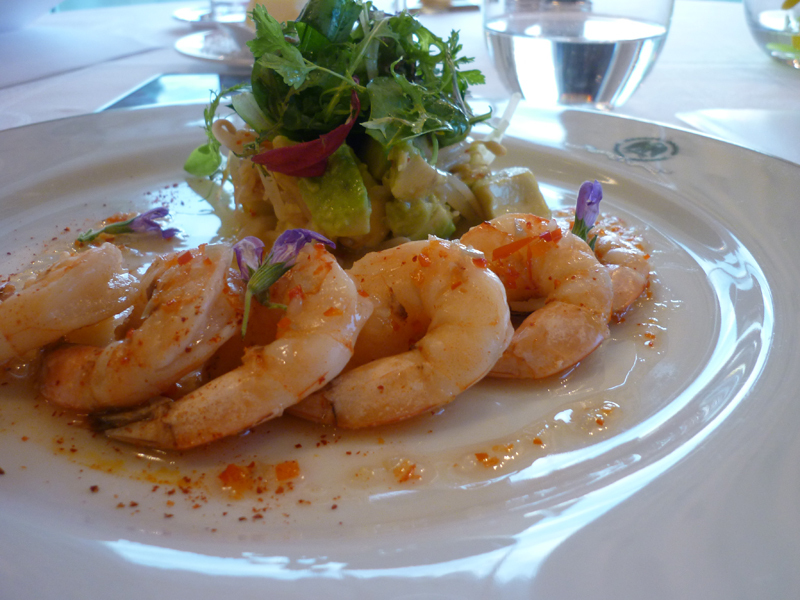 King Prawns with Green Salad and artichoke. 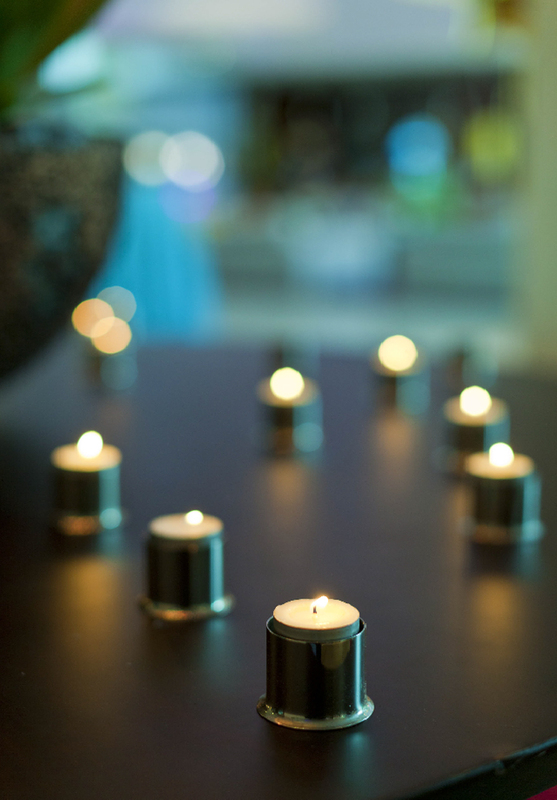 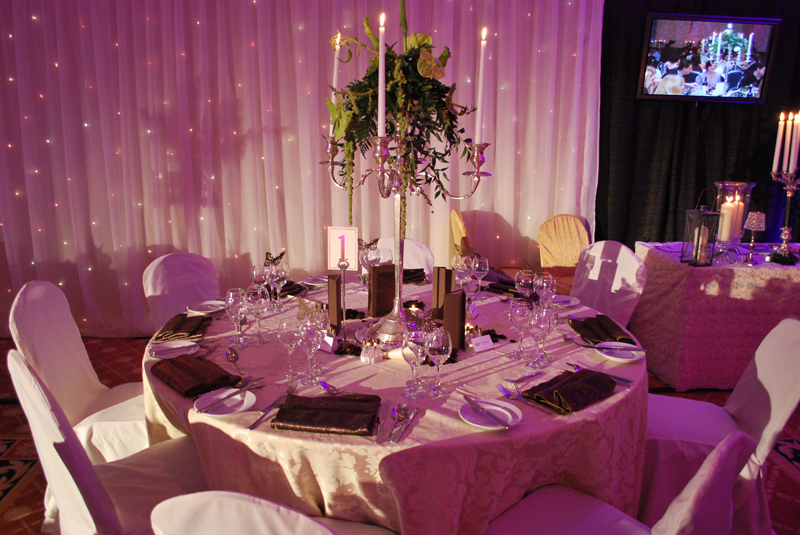 Surrounded by a floral wreath base, table pin spotting to create atmospheric lighting. 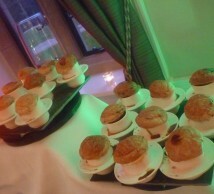 Blue damask linen with matching blue damask serviette and Sterling Silver serviette holders. 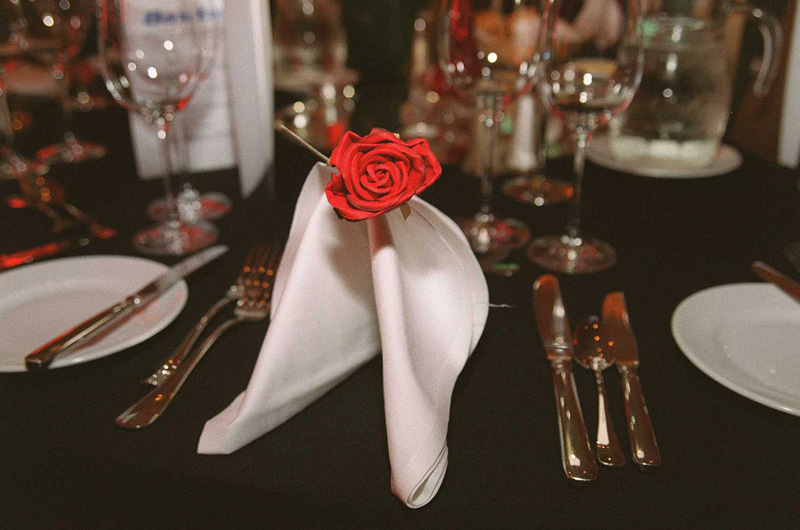 Featuring crushed linen, decorative serviette fold, table numbers, triple glassed and classic candelabra with red floral centrepiece. 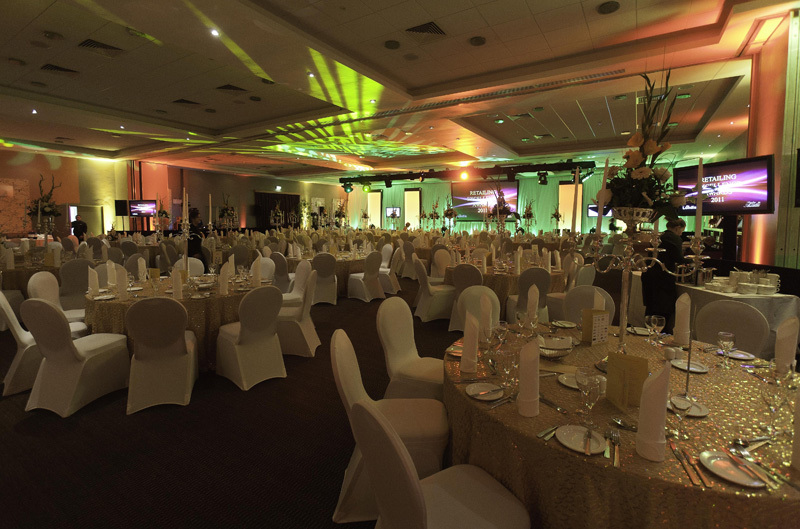 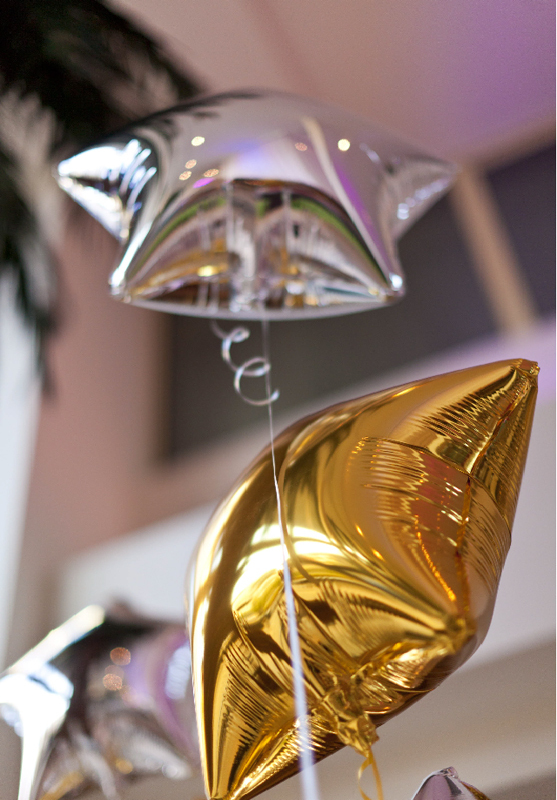 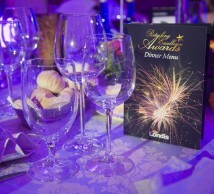 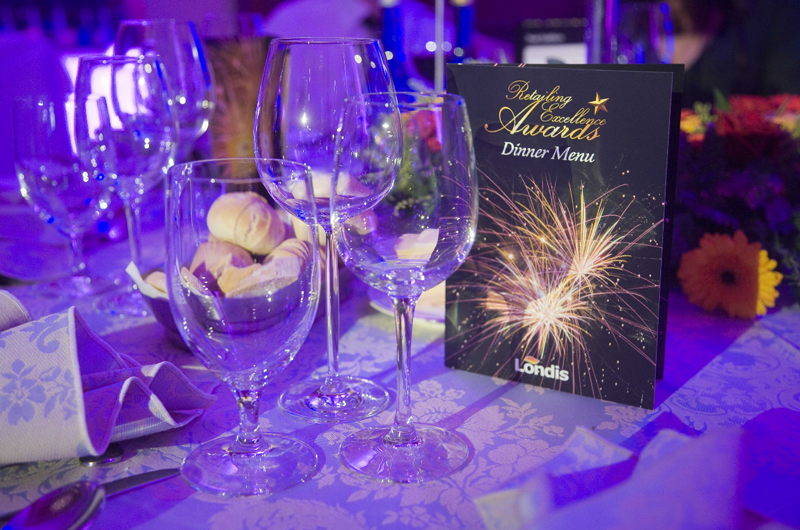 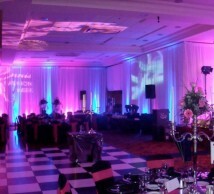 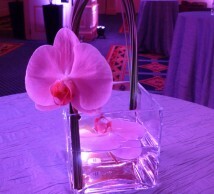 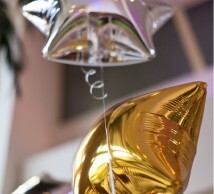 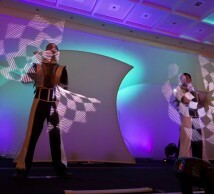 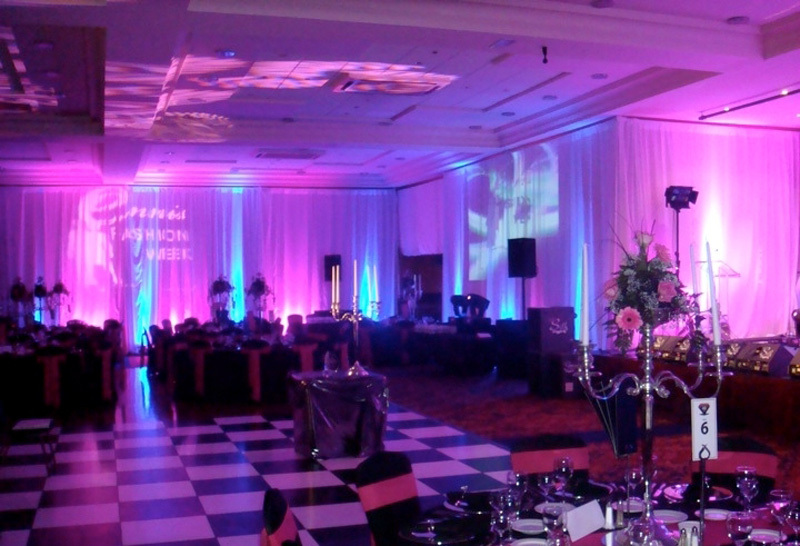 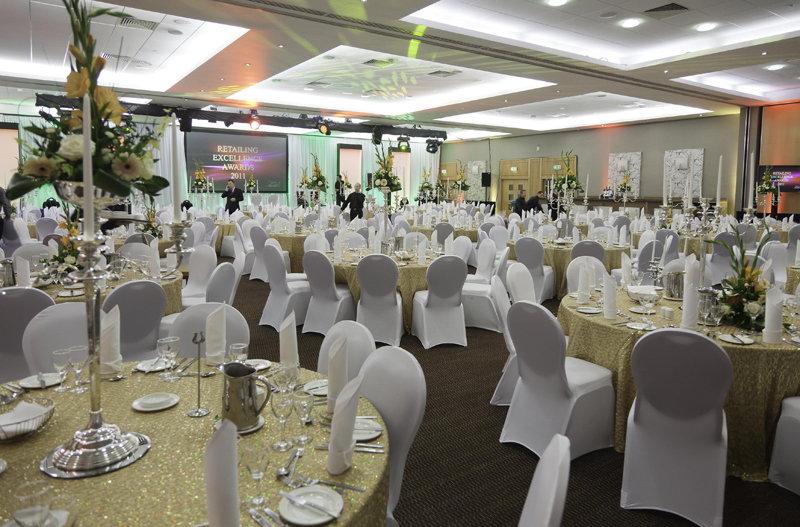 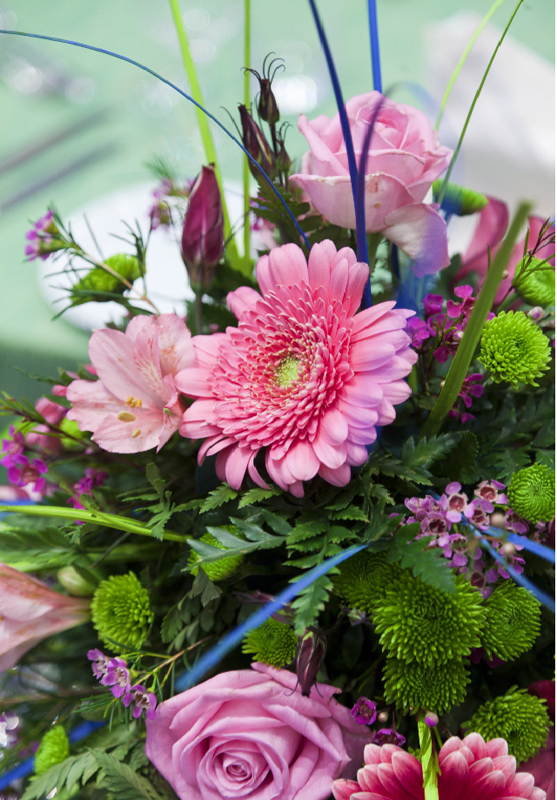 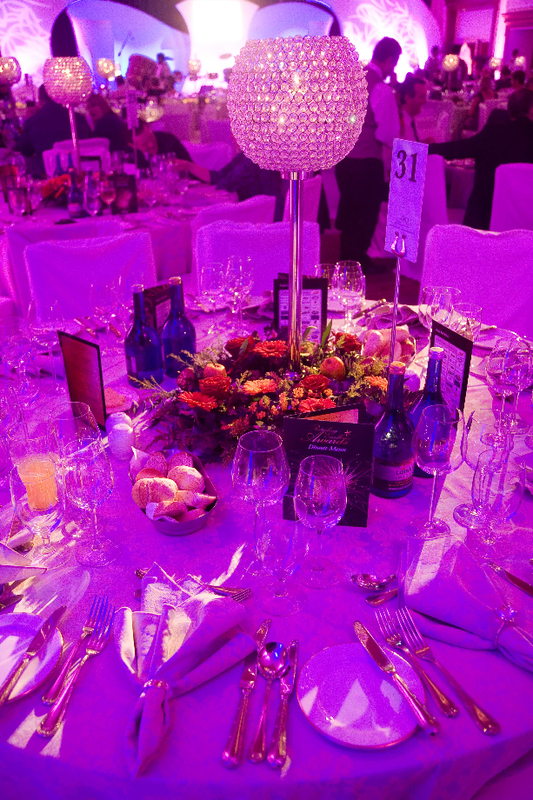 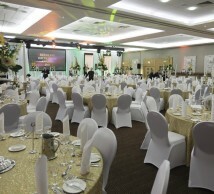 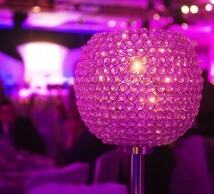 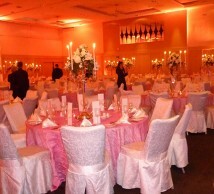 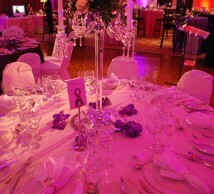 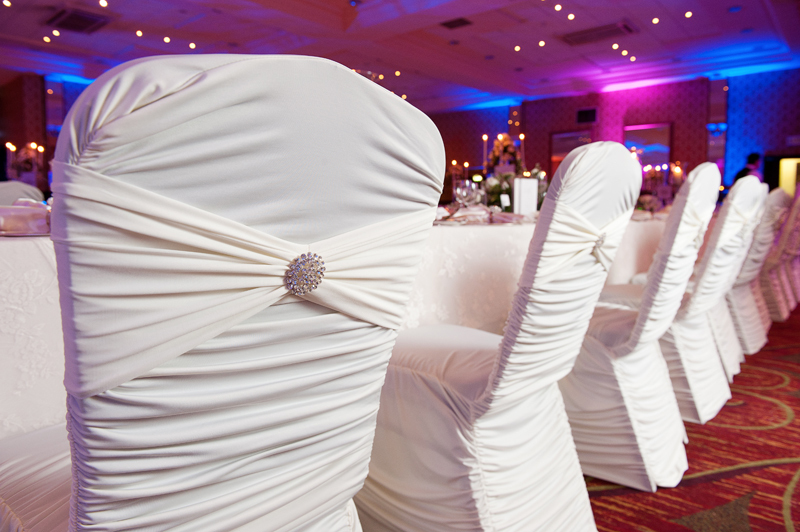 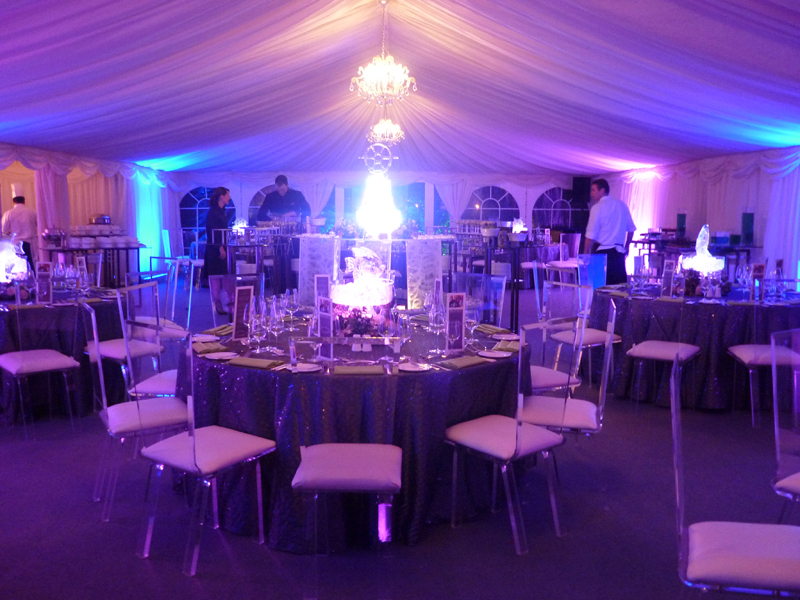 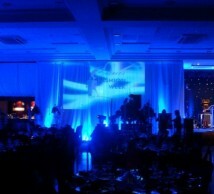 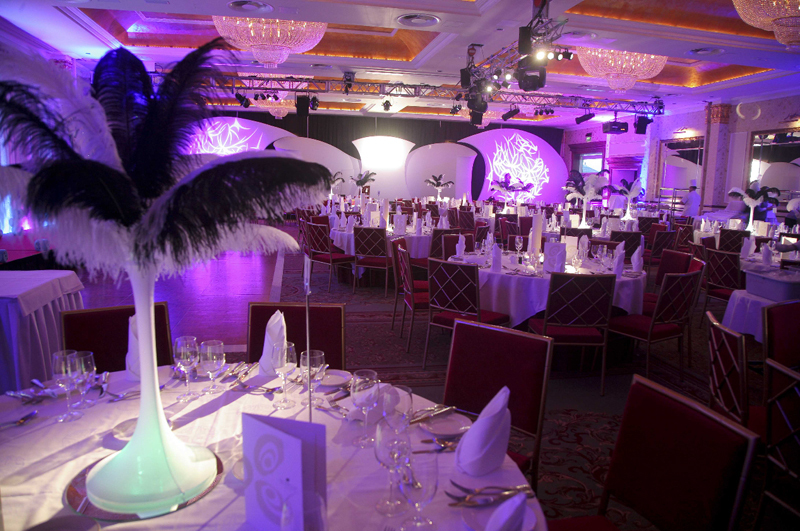 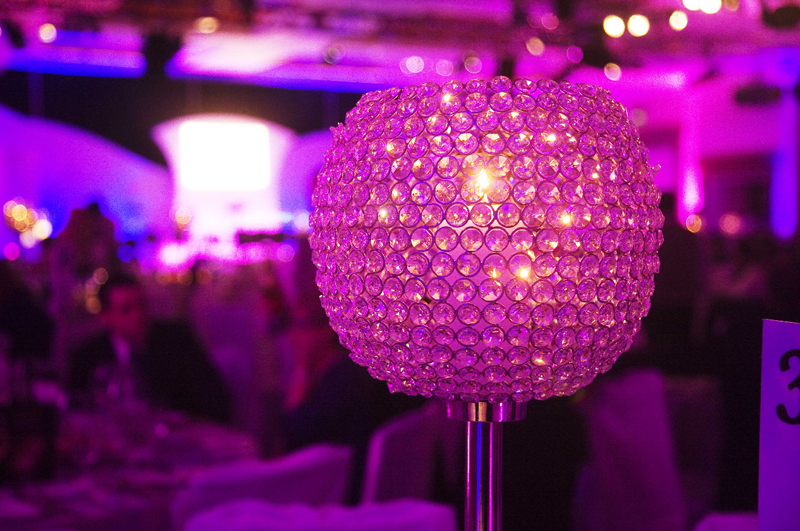 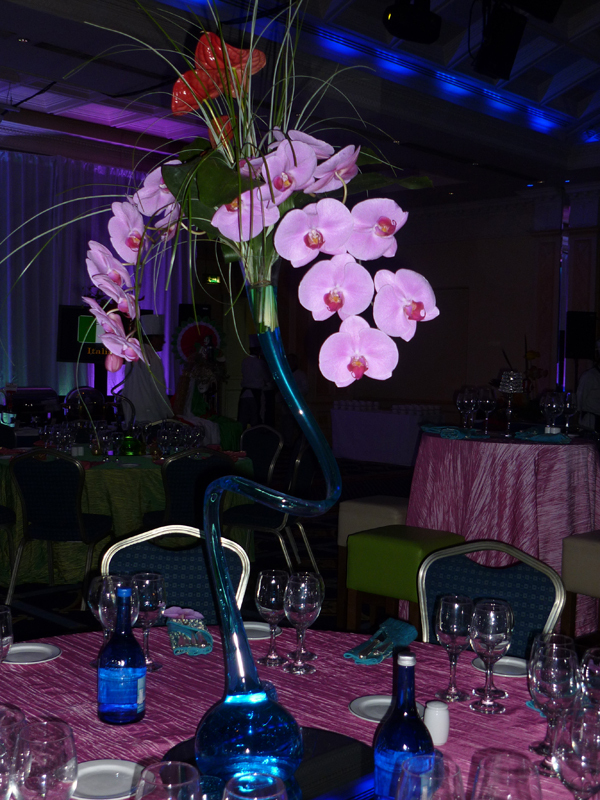 With glittering Crystal Globe Centerpieces and ambient lighting design. 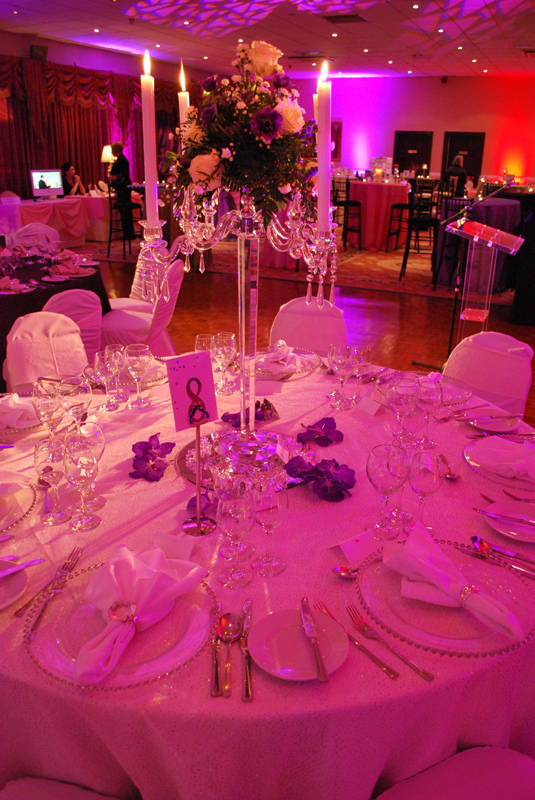 With crushed pink linen and white serviette, white chair covers and classic candelabra featuring floral design and Vibrant lighting program. 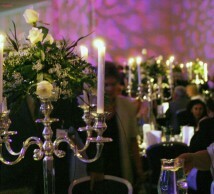 Featuring crushed linen with a white shirt & black tie serviette, elaborate candelabra with ivy & delicate floral trail. 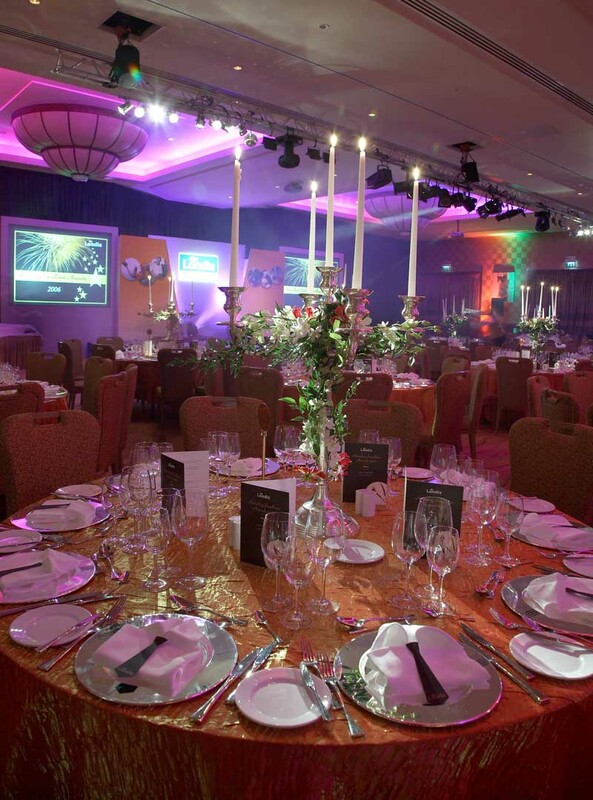 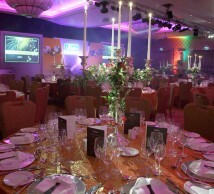 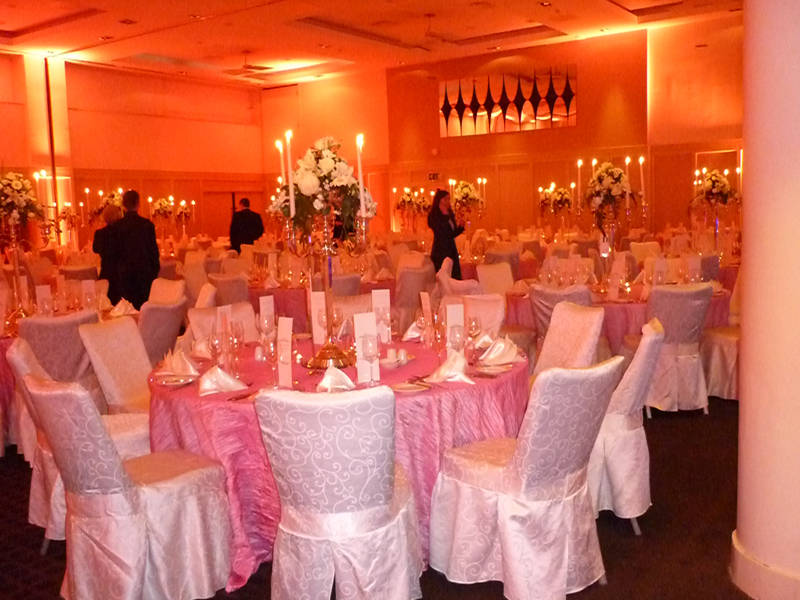 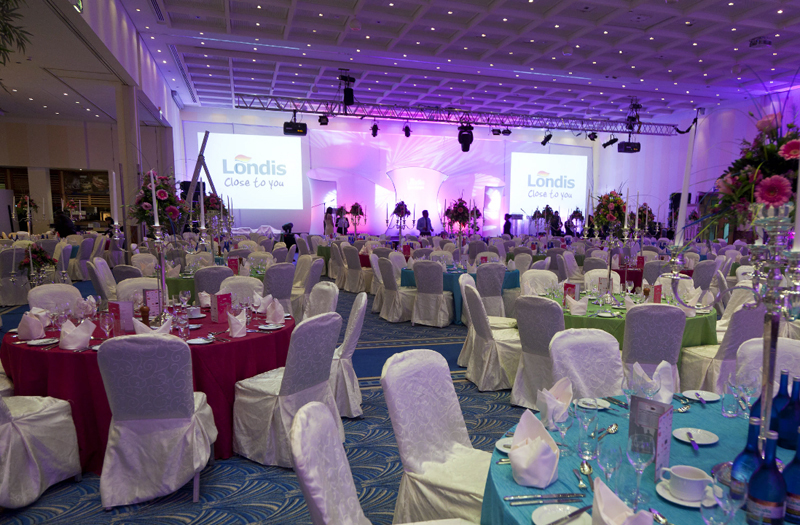 Featuring event theme contrasting coloured linens, candelabra with candles and elegant floral centrepieces. 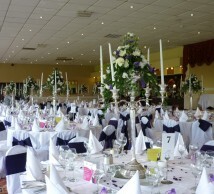 Featuring Ivory damask Linen, candelabra with candles and classic floral centrepiece. 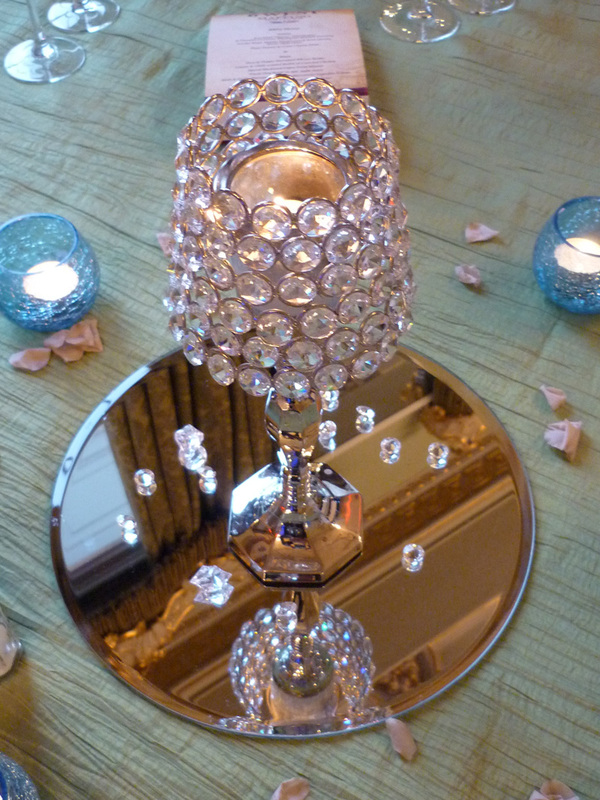 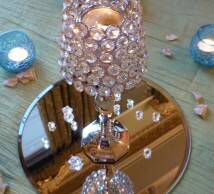 Crystal Lamp and tea light placed on a small mirror base with scattered crystal drops. 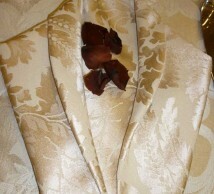 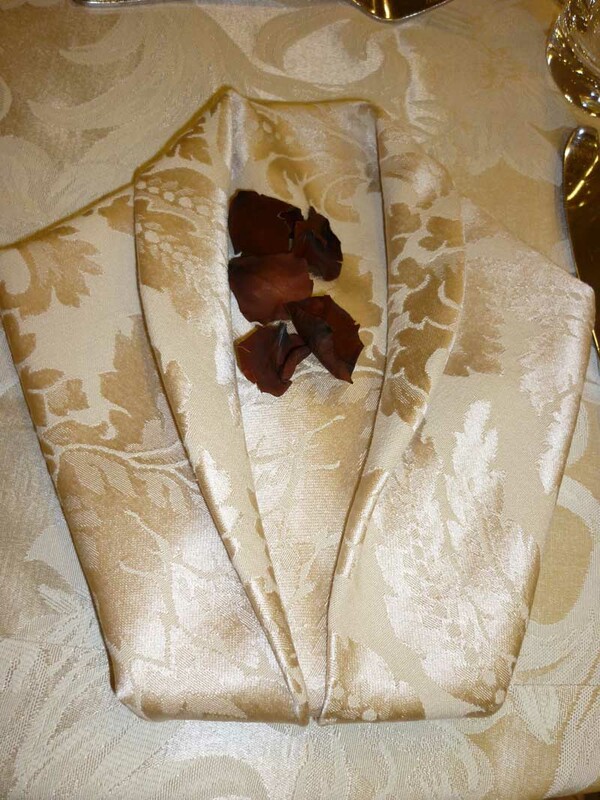 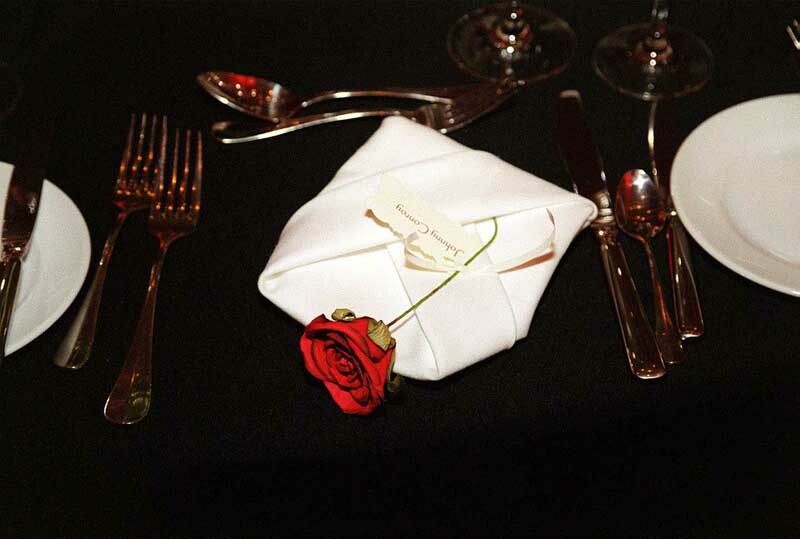 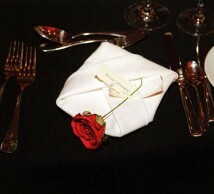 Heavy Ivory Damask napkin with tuxedo fold and rose petals. 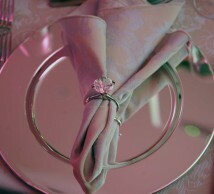 Ivory serviette, large bling ring on bevelled charger plate. 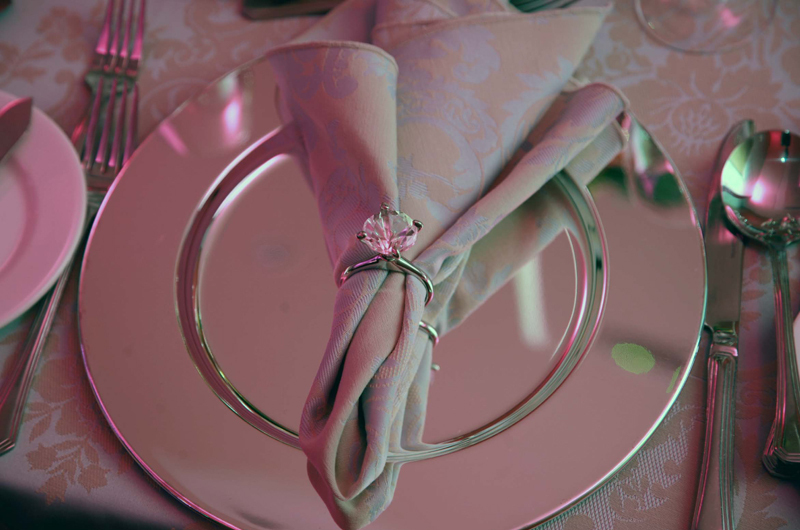 Blue Damask Serviette, bling ring serviette holder, silver charger plate.